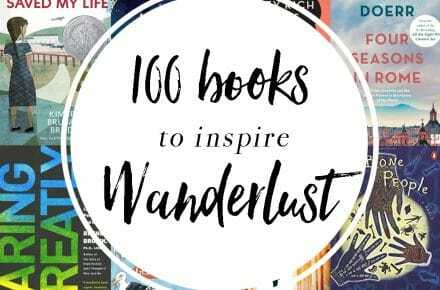 These 100 best inspirational books will take you to another time and place and make you want to travel the world. There’s nothing I love more than travel, except for maybe a good book. But when my two favorite things collide and I find good inspirational books that make me want to travel, well, there’s just nothing better! I love learning about destinations, and some of the best travel guide books have been on my shelves and in my backpacks for years. These traveling books have been my faithful companions for many years and through many countries. While these are great and informative, it’s the stories that make me want to travel and relive the pictures that they’ve painted in my mind. It’s been proven that most humans learn best through stories. This is why we tell fairy tales, fables, and parables to kids and read them children’s books about travel and adventure like Robinson Crusoe and The Jungle Book. Some of the most inspiring books I’ve ever read were told from the perspective of someone from a different culture and different time. Good inspirational books and stories can be good for our brains and for our souls, teaching us about different lives, different cultures, and different ways of thinking. I’ve read so many amazing books that have made me want to travel to the destinations they were set in that sometimes I think maybe I need to stop reading, so I won’t feel the need to travel so often! 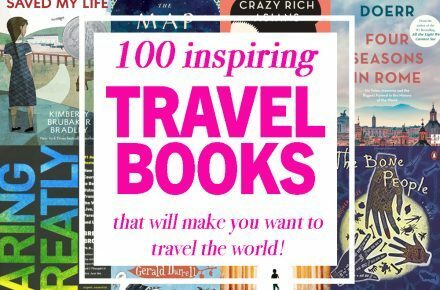 Pin these best travel books that will inspire your wanderlust! I know that I’m not alone in this reading/traveling addiction. I’ve asked some of my other travel buddies to tell me about books that they’ve read that inspired them to travel. I love the list they came up with. There are some amazing destinations on here that I don’t know I’d ever thought about traveling to. 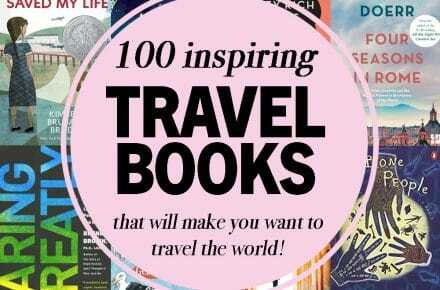 Now I’m going to go read these to really ramp up my wanderlust! For better or worse! 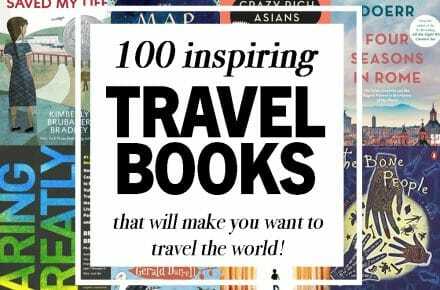 I hope this list of the best travel books will give you inspiration for your next adventure. 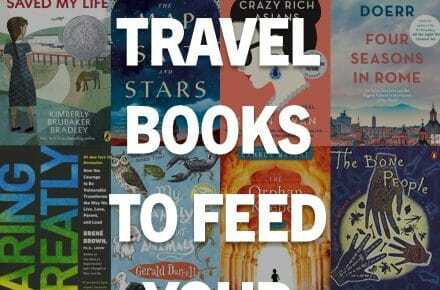 Or if you’re already on an adventure, these would be the best books to read while traveling! So, grab a cup of tea and your Amazon Wishlist, and get ready to go on an incredible journey through the written word! These are inspirational books that have inspired many to change their lives and make more time for travel. Daring Greatly inspired me to get out of my comfort zone and pursue my dreams of starting an online business where I could work remotely from anywhere in the world and travel full-time with my family. If you haven’t read any of Brene Brown’s books, you should because they will change your life! This popular book, The 4-Hour Workweek, has helped many families escape the rat race and live the life of their dreams by eliminating the 9-5, taking mini-retirements, with short bursts of hard work. In this book, Tim lays it all out and explains how to live the life you want. After reading The 4-Hour Work Week, another highly transformative book, I read Vagabonding by Rolf Potts, which was recommended by Tim Ferriss. While I had already had the urge to see the world, this book really inspired me to make it happen. While seeing iconic travel images is great, Rolf inspired me by turning travel into a lifestyle. In Vagabonding, Rolf talks about travel as a way of taking time off from normal life. Instead of the typical 1-2 week vacation spent at a resort, he taught me about extended travel, whether it be six weeks or one year. He inspired me to take solace in a task-free adventure, discovering the world on my own terms. Vagabonding has become one of my favorite reads and since the time I opened the book, I’ve been to more than 35 countries spanning 6 continents. 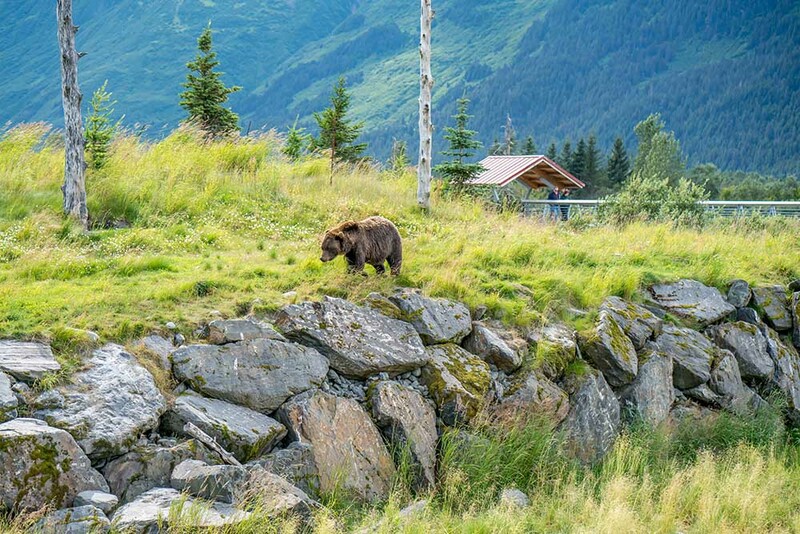 After seeing a decent chunk of the world, I also decided to get to know my own country better and did a 150-day road trip to experience the best things to do in Canada, coast to coast to coast. The Poisonwood Bible was truly eye-opening and I learned so much about the Congo. It’s history and trials, some which still continue today were heartbreaking. Kingsolver paints such a vivid picture that you can almost imagine being there. 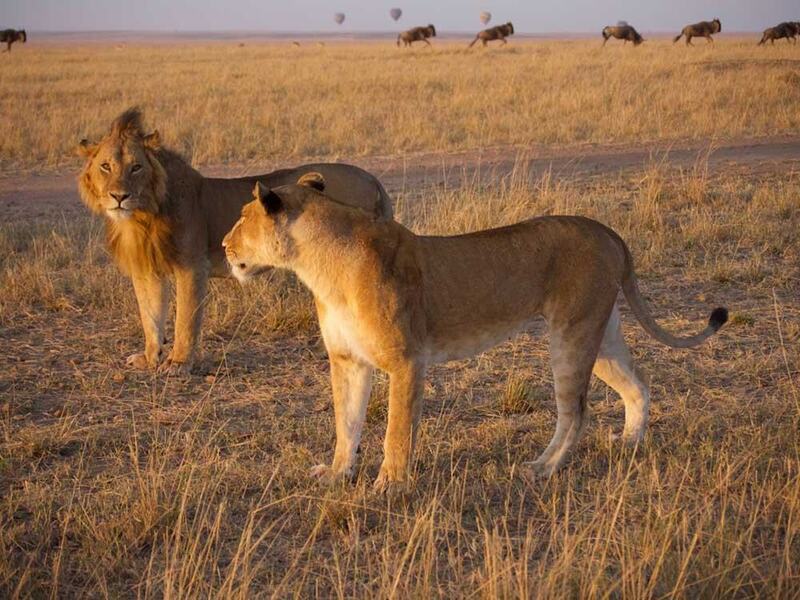 Ever since I read the book Out of Africa by Danish writer Karen Blixen I was mesmerized by the incredibly detailed and vivid descriptions of the African plains and savannah. The author provided such realistic descriptions of a time that once was that I couldn’t help but want to see it for myself. I have since gone on many safaris to several of Kenya’s conservancies and national parks, some in the same fashion as safaris once emerged: with mobile tented camps, fine china and sunset drinks around the campfire. While I have not been able to find the essence of that time and the romance felt in the book in the Kenyan highlands, I have memorable stories to take home. A House in Fez by Suzanna Clarke is the story about a couple from Australia who go on vacation to Fez, Morocco. They fall in love with the city and decide to purchase and restore a historic and dilapidated riad (a traditional Moroccan home with a central courtyard.) there to be their second home. This renovation project quickly proves to be more challenging than initially anticipated. From the frustrations of finding reliable workers and haggling with local merchants to the exasperation of dealing with the government’s red tape to the idiosyncrasies of interacting with overly curious and often prodding, yet lovable neighbors, the couple time and time again find their patience tested to the limits. Yet, with a great deal of tenacity, perseverance and hard work, along with way more time and money than planned, the riad is finally refurbished to its original splendor. And in the end, the couple finds that they have created lifelong friendships and an unwavering love and appreciation for Morocco along the way. 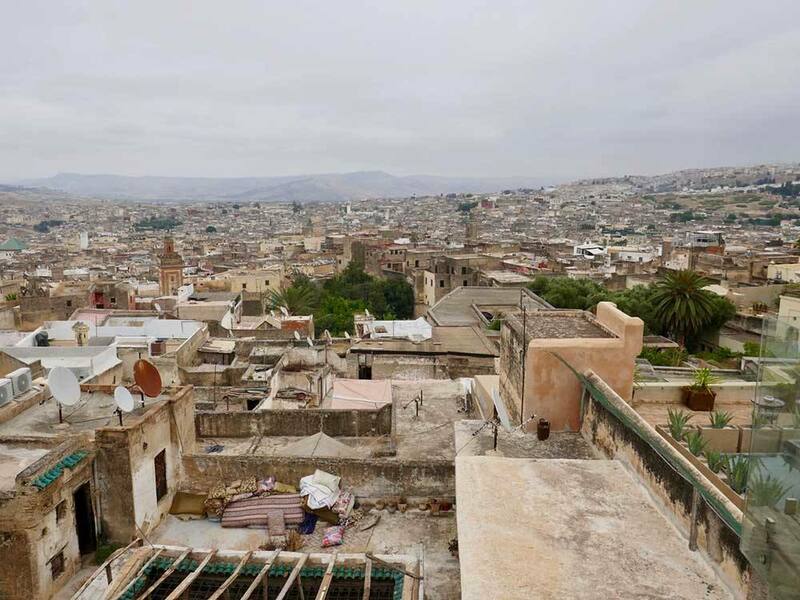 Woven into the tale are interesting tidbits about the architecture, religion, traditions and way of life in Fez. The insight I gained from reading this book made me want to visit Fez more than ever. And since finishing the book, my daughters and I have spent three incredible days there. A House in Fez is heartwarming, funny and informative, and I highly recommend it for those who are wondering if they should go to Fez, already have plans to visit, or are just curious about the culture and people there. Most people knew nothing about the Rwanda genocide until the 2004 film Hotel Rwanda brought the 1994 tragedy to light. But Gorillas In The Mist, written by legendary primatologist Dian Fossey of her time spent researching and ultimately habituating Rwanda’s mountain gorillas to human contact, offered a glimpse of life in “the Land of a Thousand Hills” before everything went to hell. The autobiography, written before Fossey’s murder in 1985, made a huge impact on the wildlife conservation movement. 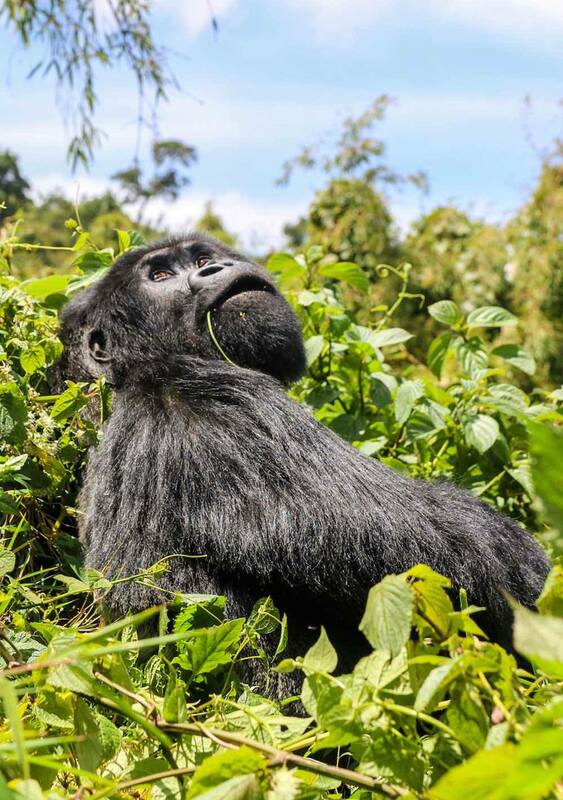 And her emotional descriptions of life with the gorillas in what is now Volcanoes National Park ultimately inspired us to explore Rwanda ourselves in 2015. There are now more gorillas in Rwanda than any other country, and the population there is actually growing thanks in large part to Fossey’s groundbreaking work. Reading her book may just inspire you to make the transformative journey for yourself! I first read Sahara by Michael Palin as I was setting off on a one-year around the world adventure from Australia to Central America, Europe and Asia. This book details his exploration of the whole Saharan area of Africa, both towns and the desert itself. 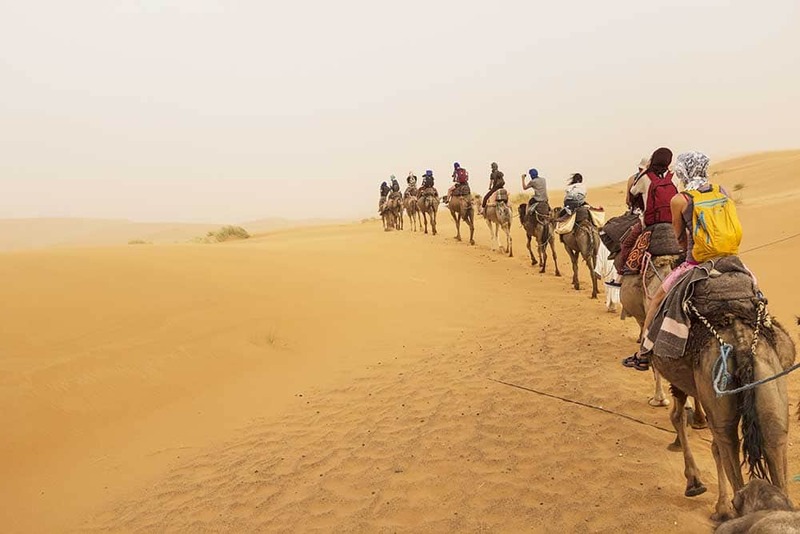 I found it hugely inspiring and I was soon changing our itinerary to add a trip to the Atlas Mountains in Morocco where we were able to visit the Sahara ourselves. Other places in West Africa are now firmly on my bucket list and I look forward to visiting this region again one day. This is probably one of the top inspirational books I’ve ever read. It is a story of overcoming in a time of great turbulence and change in South Africa. The Power of One is a memoir of sorts from a young English boy born and raised in a land divided. The struggles he goes through are heartbreaking, and his story of triumph is inspiring. Learning about South Africa was very mind-opening for me, and reading the story from a point of view that was so connected to both sides of the conflict was fascinating. I highly recommend this book if you’re planning to visit South Africa. Long Walk to Freecom is Nelson Mandela’s touching autobiography about his life and his struggle for the equality and equal rights of the people in South Africa. This is a country that has been through so much! The King in Exile is a book about King Thibaw and Queen Supalayat of Burma who had been deposed and exiled to British-occupied India. The royal family would often reminisce about their days in the Golden Palace of Mandalay and stately journeys down the Irrawaddy. They would furtively hold on to their Burmese rituals while trying to blend in with the Indian-ness around. As I started digging deeper, I could almost picture the places and the rituals in my mind. 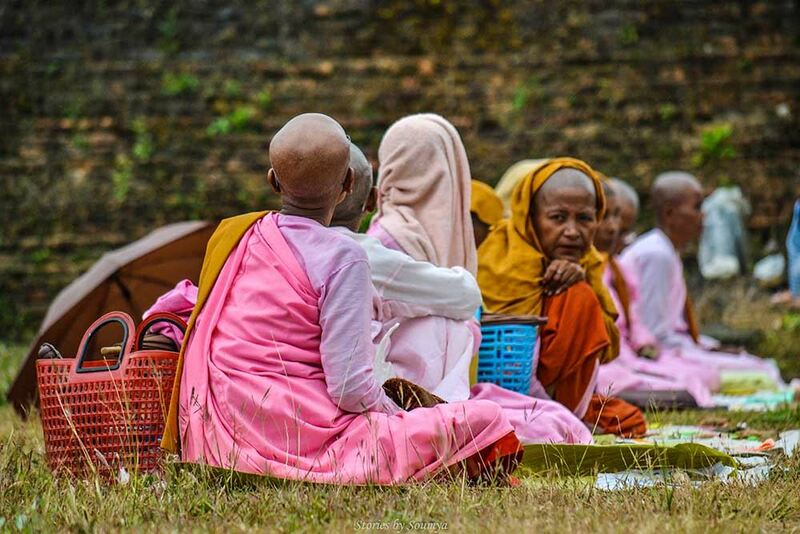 The intriguing resplendence of Mandalay, the glistening pagodas of Yangon, and those smiling Thanaka-clad faces beckoned to me until I decided to pack my bags and experience Burma for myself in 2017. Life has not been the same ever since! The Rent Collector is a moving story set in Cambodia in the worst living conditions imaginable. It’s a story of survival, hope, and redemption, and one family’s fight for survival. White Tiger, a novel written by Aravind Adiga, is an incredibly captivating book that is hard to put down. 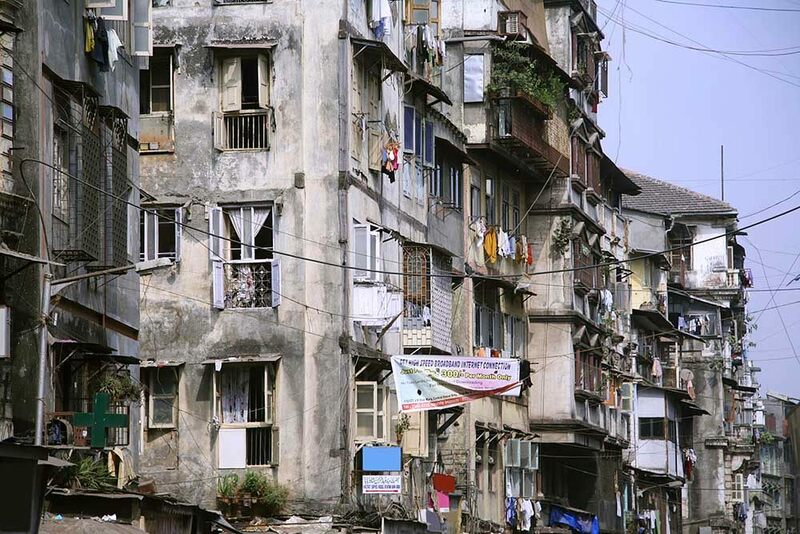 The story follows a man from rags to riches in Mumbai, India. A place where the card that is dealt at birth predetermines your existence. In a system set up for failure, I found myself rooting for the protagonist regardless of the unethical and downright immoral ways he beat the system. The book sheds light on the complex caste system in India. Reading it made me incredibly curious about the intricate workings of the Indian society. It inspired me to embark on a 1-month solo backpacking trip in what is now my favorite country in the world. Lindsay, a convicted bank robber, and heroin addict arrives in Bombay after escaping from an Australian prison. Intended only to be a step in his journey, Bombay became his home. Together with “Linbaba”, we learn about India – very often the poorest India – as he lost all his money and found himself living in the slums. He became a slum doctor and much more but… I don’t want to spoil the story for you This is a novel, but it owes much of its interest to the Author’s first-hand experience, himself an escaped Australian convict. I was reading Shantaram in 2008 when we lived in Mumbai. Sometimes I had it with me while sitting in the Leopold cafe which features in the book and which was coincidentally the site of the November 2008 bombing. I could almost feel Linbaba’s breath on my back. Now if ever I want to to be reminded of my time in India, I reach for Shantaram, and I am back in the busy streets of Bombay. The story is written in a beautiful rich language, and keeps the reader captivated for all 900 pages – it is a fascinating introduction for the visitor to Mumbai. This amazing story of a boy who is orphaned in India and then adopted by a family in the United States has inspired me to visit India. The stark cultural differences between the two countries really shine in this book and the miracles that happen are astounding. My neighbor is actually friends with the man whose story this is, so I had to read it. The Orphan Keeper is truly fascinating! Anyone who’s been to India will tell you that it’s a place that travelers either love or hate. It’s a confronting cacophony of chaos, but its warmth, vibrancy, and energy get under your skin, and after our year living and traveling in India with kids, its a place that I truly love and deeply miss. I am therefore always looking for books to transport me back to that mystical land and Vikram Seth’s A Suitable Boy does just that. This is essentially a love story, but Seth paints the colors and textures of India throughout the pages, layered with the political struggles and cultural pressures of the time (it’s set in the newly post-independence, post-partition India). Now, this isn’t a light read, its actually one of the longest books written in the English language, although it’s separated into 19 parts, each with its own subplot. But it’s the perfect book to immerse you in the wonders of India. Memoirs of a Geisha is set entirely in Kyoto as Geisha are only found in Japan. There is often confusion around the role of a Geisha. 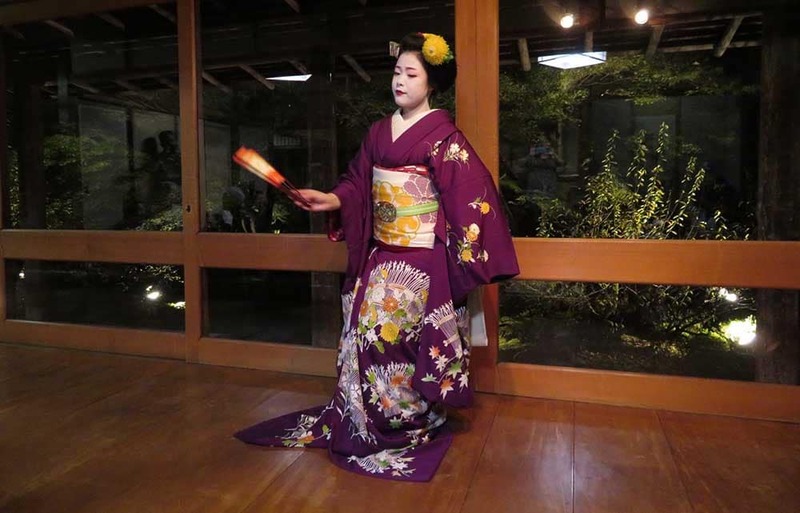 A Geisha is a traditional female Japanese entertainer, who highly skilled in traditional dance and music. The book portrays in detail how committed and difficult the journey is for young girls wanting to become Geishas. A very high degree of professionalism and restraint is required, meaning these young ladies will miss out on many other experiences of being a modern teenager. These young ladies are very committed and have become a modern icon of traditional and historic Japanese values. The art is dying now and the numbers of Geisha are declining rapidly. A Geisha’s training is expensive and their debt must be repaid from her future earnings. The novel Shogun by James Clavell provided insights into the customs and history of Japan that I found fascinating. Shogun paints a picture of life in 17th century Japan, seen through the eyes of the character John Blackthorne, a British pilot of a sailing ship. Blackthorne observes the rise to power of Tokugawa Ieyasu, who became the military dictator of Japan. Clavell’s book touches on the development of Edo, which evolved into Tokyo and mentions sites of historical interest across the country. The novel inspired me to read further into the life of Ieyasu, and my interest provided the framework of a trip to Japan that encompassed Tokyo, Nikko, and Kyoto. What if a fortune teller told you that you shouldn’t fly for a year, or you may die? Not an easy thing to do for someone like Tiziano Terzani, Italy’s most famous foreign correspondent who, at the time, was living in Bangkok and reporting from many countries around Southeast Asia for German Magazine Der Spiegel. This is the storyline of Fortune Teller Told Me: Earthbound Travels in the Far East, first published in 1995. It recounts one year of overland travel by one of the lesser-known, and yet absolutely brilliant, foreign correspondents of late 20th century Asia. As a fellow countryman, Tiziano Terzani’s book hit me profoundly, inspiring me to choose Southeast Asia as a destination — 10 years later, I am still here, living in food mecca Penang, and married to a Malaysian woman — and travel exclusively by land. Thanks to this book, I started an obsession with overland travel who took me twice from Asia to Italy, my native country, by land, without ever taking a flight. The incredible parallel journeys in The Map of Salt and Stars, of modern day and ancient girls across the middle east is truly riveting. The description of the landscapes, cities, food, and politics was fascinating! I can still remember being stuck in peak hour traffic and hearing this young Australian lad talk about his tales of trekking on horseback across Mongolia and through Europe retracing the steps of Genghis Khan. By lunchtime, I had a copy of On the Trail of Genghis Khan in hand. By the end of the night, I was down the deep rabbit hole of Mongolian culture and history. 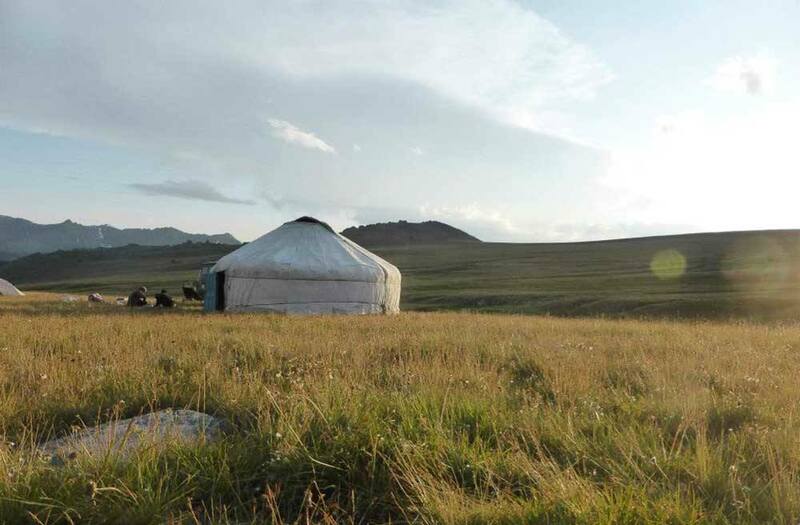 Within a week I was smitten by the world of the Mongols and riding across the steeps, living the nomadic life. As an avid horse rider, it was easy to see this dream come to life. Not even a month after reading the book I had a three-week trek in Mongolia booked and flights ready to go. Saddled in controversy of the epic Everest climbs, I thought Jon’s account, Into Thin Air would merely be an account from a journalist point of view of the trouble brewing in Everest, but l was intrigued when he did the climb himself. Detailing the harrowing experiences that happened to him during the climb in 1996, I became hooked on the intricacies of what mountains in the Himalayas can do to you and the potential value of paying attention to your subconscious when you’re trekking in thin air. The beauty of this book lies in not only the way the author has captured the essence of Nepal but also the euphoria of what mountaineers experience when committing to an expedition in the Himalayas. 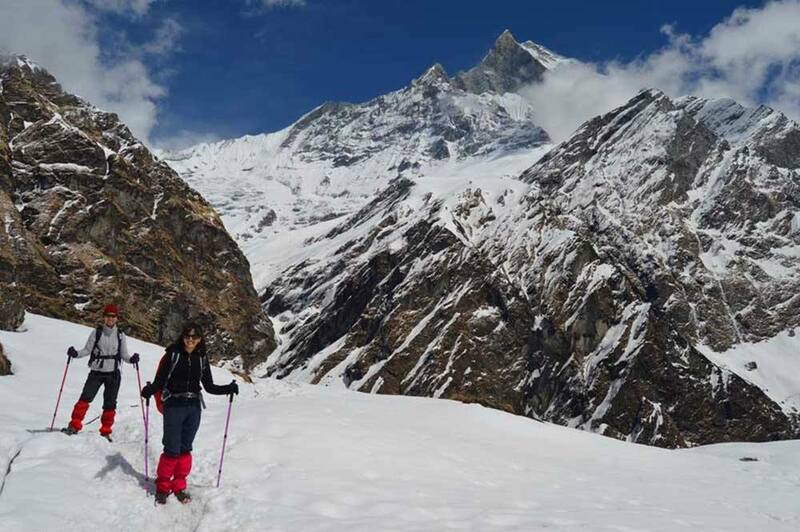 I have since spent three months hiking in the Himalayas in India and also spent most of my travels and adventures centered around mountains and adventures in order to push my limits. People often ask what inspired me to visit Nepal for the first time and my answer is a little offbeat. I read Little Princes by Conor Grennan and fell in love with his description of the country. The book is about a young man (Conor) who decides to travel around the world. He chooses to volunteer in Nepal to look a little less selfish, and so that he can use volunteering as a pickup line. What he finds is that the orphanage he volunteers at isn’t an orphanage at all. The children have all been trafficked to Kathmandu, and their parents remain in other parts of the country. After reading his account of returning as many children to their homes as possible, you honestly can’t help but fall in love with Nepal. Visiting the country confirmed to me how amazing it really is. Follow Malala’s story of bravery against the Taliban as she tells of her courageous journey. Malala does an amazing job of painting a beautiful picture of the Swat Valley in Pakistan. This was educational about the events going on in the Middle East and a rare first-hand account from a child. I Am Malala is a must-read! No book has ever made me want to visit Singapore like Crazy Rich Asians! I think I would actually visit this country from reading the description of the street food alone! To be honest, I don’t know much about Singapore, and I’ve never read a book about the country before, but now it is 100% on my bucket list! I first read The Beach by Alex Garland traveling around Europe and was instantly intoxicated by Thailand and the adventure the characters had there. I then went to Thailand in ’99 for the first time and chased all the places where the story was set. I ended up having what I would call a similar secluded unencumbered adventure with strangers who became like family to me. Our adventures didn’t end up in total madness like the fictional tale. Catfish and Mandala is a compelling page-turner written by an author who truly has a gift for writing. I felt like reading his words helped me grow as a writer, as a traveler in Vietnam, and even as an American. Andrew X. Pham was born in war-torn Vietnam and he and his family risked their lives to come to the United States as refugees when he was a child. He grew up as a quasi-outsider in the US and as an adult, only to feel the same feeling as an outsider in his birth country. His objective was to cycle through the country, and while this would have been a compelling enough story, it’s really the cultural reflections and Andrew’s feelings and difficulties that made it so interesting for me.I personally really loved visiting Vietnam. As a white American, it’s amazing how different our experiences ended up being. If you read this before or even during a tip to Vietnam, you’ll be moved. There are so many great travel books about Europe that have made me want to pack up and move there. In fact, I actually did for a year! There are some amazing ones on this list. The Island is a historical novel telling the story of a young woman exploring the history of her Cretan family. She discovers her connection to the deserted island of Spinalonga; one of Europe’s last active leper colonies. I had always thought of Crete as a beach destination, and this book made me want to explore its history as well, even if it was painful. I was also curious about what was left of Spinalonga Island, which made me eager to plan a trip to Crete. When I finally got to go, I felt that my visit was a lot more meaningful thanks to this incredible book. Possibly my greatest inspiration for visiting Greece, the hilarious, real, and quirky Durrell family will make you fall in love with Greek culture and with the island of Corfu. The Durrell family moves from England to Corfu after being frustrated with the monotony and expense of their life. Unhappy with the education of her children and with the lifestyle in England, the Durrells find life on Corfu a little more difficult (goodbye electricity and running water), but at the same time gain an appreciation of life on this beautiful island. My Family and Other Animals is written by Gerald, the youngest Durrell child, and it’s delightful seeing life on Corfu through a child’s eyes. After reading this book I knew I just had to get to Corfu. After doing some research on the Ionian islands, I decided to visit Kefalonia, which is supposed to feel more like Corfu did back in the days of the Durrells (the 1930s), and I would have to agree. We shared the road with goats many times and had the crystal clear waters of the Ionian Sea all to ourselves. We shopped at the markets and lived a simpler life during our time on Kefalonia. The inhabitants of this sleepy little island in the Ionian sea find themselves caught in the middle of world-altering history as WWII comes to their doorstep. This beautiful and tragic story of star crossed love brings the past to life and the stunning island of Kefalonia will be on your bucket list as soon as you read Corelli’s Mandolin. I’ve always been one to find travel inspiration in books, so it isn’t unusual to pick up a novel set in a destination we are traveling to in the near future. About thirteen years ago, I picked up the book Ireland: A Novel by Frank Delaney. The cover seemed intriguing, it told the tale of a storyteller who travels the country, sharing fables and tales of Ireland’s history through the years. The author weaves a magical story of a nine-year-old boy who is enchanted with this man’s stories after he mysteriously shows up at the child’s home in rural Ireland in the early 1950s. It sets the stage for the boy pursuing the storyteller over the years because he wants to know the story of this man’s life. Readers can’t help but be swept away by the Irish mythology and fables woven into the fabric of this book. 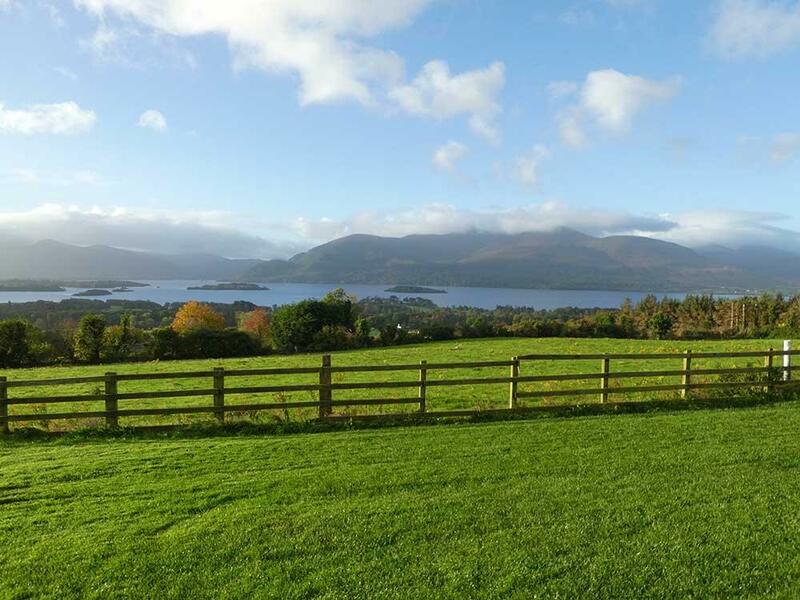 It was one of my first introductions to Ireland, and it continues to be the basis for me returning time and time again. Ok so this is not really a book, but an Audible listen that was so intriguing. It reads more like a podcast than an audiobook, with interviews and speculative rambling, but the story is a great mystery while the characters warm your heart to the Irish countryside. I ordered Beautiful Ruins by Jess Walter after hearing friends talk about their time hanging out in Cinque Terre. My husband and I were already planning on visiting Tuscany with his family so Italy was already on my mind. After reading about this quaint little place right on the water with so much history, I just knew we had to visit! I even brought the book to re-read once we got there. 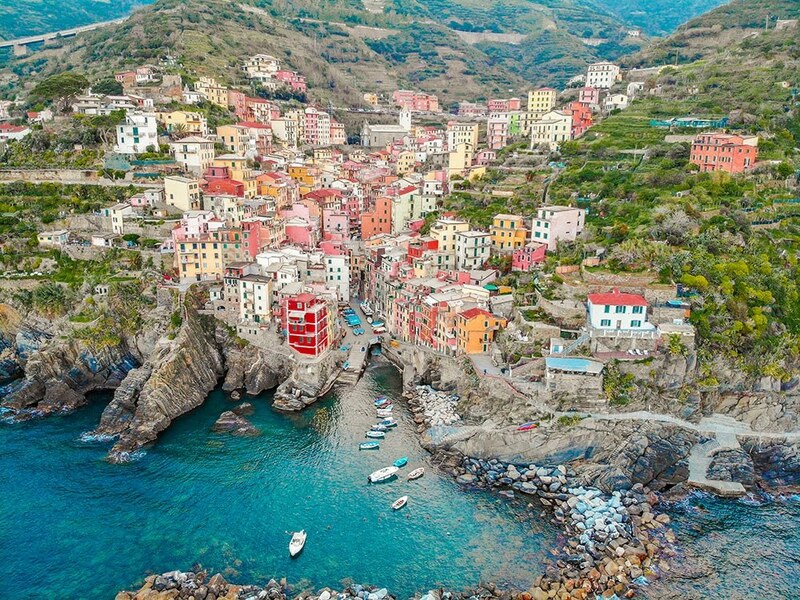 The book gave me high expectations for these little towns and I’m so happy that Cinque Terre lived up to them! We even met a few interesting characters! This was truly an incredible book, and the best part about it is that it’s true! Beneath a Scarlet Sky follows the life of …. an Italian boy from Milan at the beginning of the book, a human smuggler by his teens, and a spy for the Italian resistance helping to defeat the Nazis by the end of the book. I found his story so fascinating and think it’s actually a miracle that he survived the war! His incredible feats of bravery both in Milan and on the Italian/Swiss border near Lake Como were brought to life when we visited this magnificent area of Italy. It’s now one of my favorite places in the world. I hope you make it there! 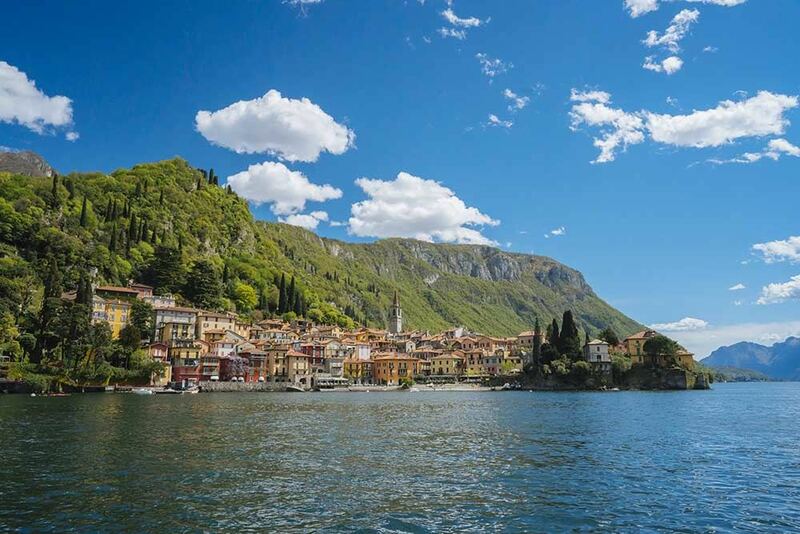 Read 5 reasons Lake Como should be your next family vacation. My Brilliant Friend and its sequels are about two girls growing up in post-WWII Italy. This book brings the city of Naples, Italy to life as it follows the evolution of the city along with the evolution of their friendship over a span of 60 years. When I was little, my Grandad always seemed to be on holiday somewhere exciting, and he always sent me a postcard. After one trip, he brought me back something even better – a picture book about Pompeii, which for a Romans-obsessed little girl was just the most exciting thing ever. 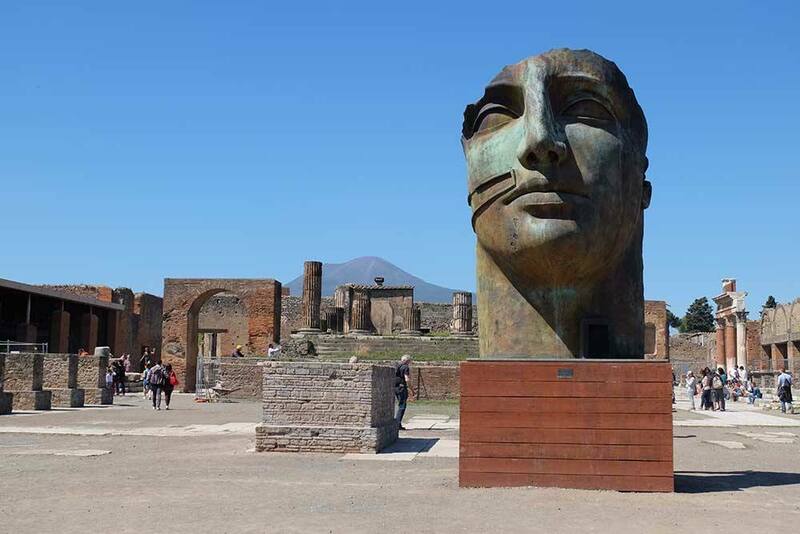 Just before I went to Pompeii for real, I came across Robert Harris’s novel Pompeii, which really brought the everyday lives of the inhabitants of Pompeii to life for me – but I would never have visited at all if it hadn’t been for that book from my Grandad. When a good friend heard I was planning a trip to Italy with my 4 young children, she mailed me a copy of Four Seasons in Rome. She said it was a must read. Four Seasons in Rome is a memoir by Anthony Doerr, the Pulitzer Prize-winning author or All the Light We Cannot See. He wrote the memoir about his year living and writing in Rome with his wife and infant twins. For me, the book was a true celebration of Rome, parenting, and writing. 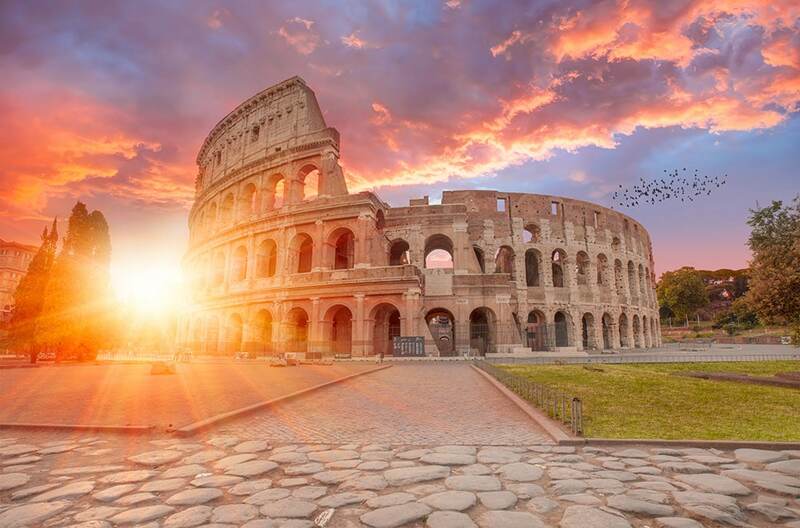 Rome is a city I have visited many times before, but it still seemed very big, and a city I wasn’t sure I could navigate with my 4 little ones. After reading Four Seasons in Rome, I realized that my feelings were totally valid but it wasn’t a reason not to explore this amazing city with my kids. Rome ended up being the first stop on our month-long Italian adventure and my first few days were exactly like the author’s: challenging. It reminded me why I was in Italy with my kids and while there would be challenges, those challenges would help us grow together as a traveling family and the beautiful memories would last a lifetime. And soon I sauntered off Piazza Navona which houses the Fountain of the four rivers which is featured in the book. 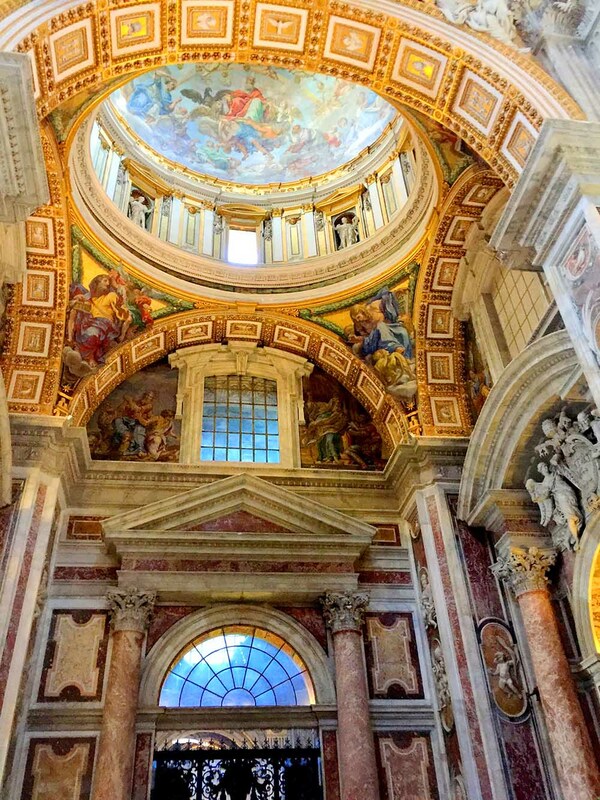 My quest was mainly to see St Peter’s Basilica in the same light as shown in the book and connect the dots as I visited the painted corridors, the dimly lit staircases, and the surreal Sistine Chapel. Even with a crowd of 20,000 tourists lurking around, for me truly, Angels and Demons had come alive. This beautiful story set in Rome during WWII chronicles the role of the Catholic church during this time as they put differences aside and provided aid to the Jews. It’s a sad and heartbreaking tale, but the history is fascinating. The book mentions many neighborhoods in Rome that are still there today. It was fascinating visiting Trastevere and the Jewish quarter in Rome after reading From Sand and Ash. Under a book exchange program, we received a copy of The City of Falling Angels by John Berendt. The book explores the city of Venice, Italy as well as its surrounding islands. 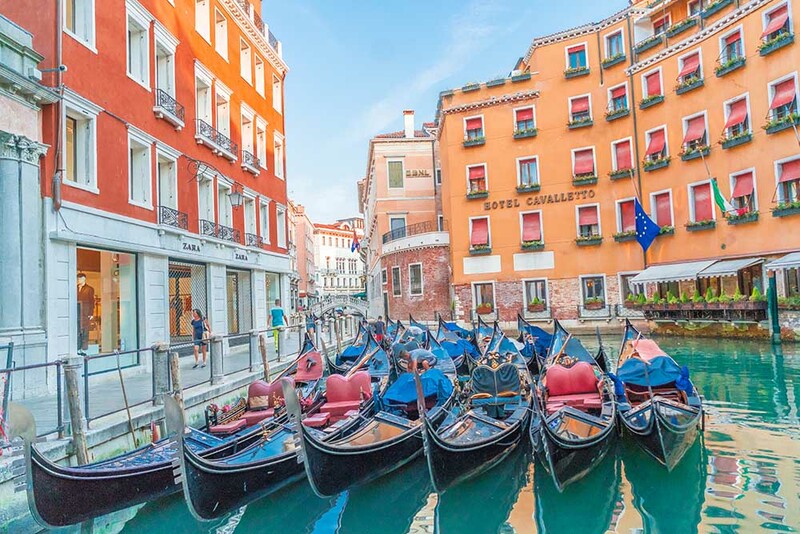 It inspired us to visit this beautiful city of islands where we enjoyed exploring the alleyways and riding on gondolas. I remember reading Madeline in elementary school and just being in awe of how different life must be like in Paris. I marveled at the churches, the formal clothing, and of course the Eiffel Tower! So, when I had the chance to go on a high school trip to Paris, I jumped at the opportunity! And Paris lived up to all of the images from the Madeline books. We got to see the same iconic landmarks, ride a boat down the Seine, and we even saw a few nuns! And re-reading the books to my kids inspired our trip to Paris last year! Ever since reading The Da Vinci Code, and then watching Tom Hanks run around Paris doing his thing in the movie adaptation, I’ve had Paris on my must-see list. I didn’t know much about Paris besides the usual things a typical person would know, and there really wasn’t any other reason to see Paris besides the fact that it was simply just so cool to be in the same city one of my favorite movies ever was filmed in! My favorite spot in all of Paris is the Louvre area it was just as spectacular in person as it was in the movie! Ever since then, I’ve traveled so much more. 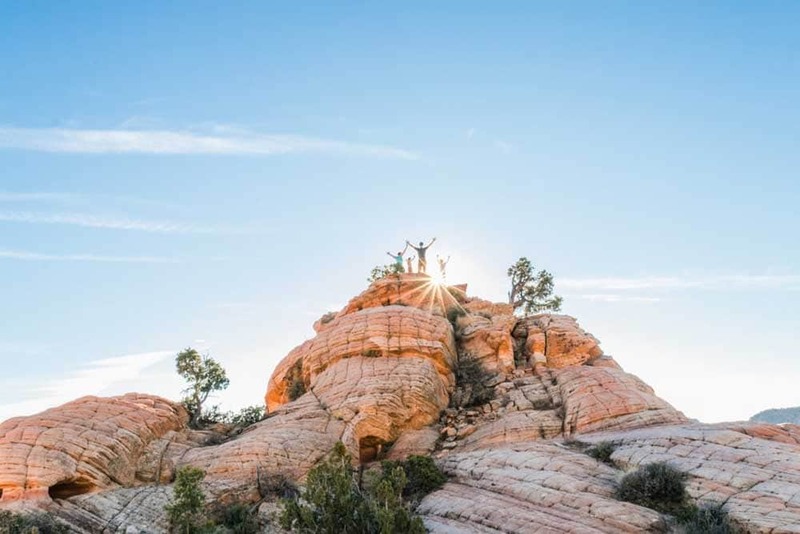 If you’re into Instagram and are looking for inspirational travel accounts to spark your wanderlust too, check this list out. Me Before You is one of the best-known romance novels but it has always filled me with a sense of wanderlust. The book begins in England but winds up in Paris, where Lou’s new life begins. She is there to experience the wonderful vision created by Will earlier in the book as he reminisces about what it was like to walk the streets of Paris in the summer. Having lived there myself, I can confirm that he captures the spirit of the Marais district perfectly. 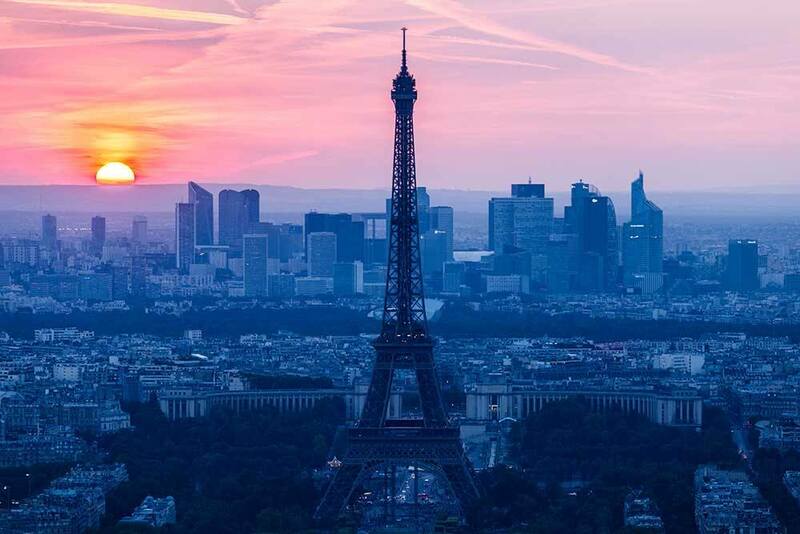 Cobbled streets, the smell of coffee and warm croissants, the sound of a moped in the distance… It’s enough to make anyone hop on a plane straight to Paris! Find out more about all the Me Before You Paris scenes here. Unfortunately for Mr. Perdu, he isn’t able to find a book that will help him heal the pain of his true love disappearing without saying goodbye more than 20 years before. When Mr. Perdu finally opens the letter he received from his lost love, he detaches the book barge from the banks of the Seine and goes on a journey through France to find peace. We love Europe, especially old and rural Europe. However, we have never visited France before. That changed the moment I finished reading A Year in Provence, written by Peter Mayle. We were on our way to experience France and her transition from spring to summer. We traveled by train from Paris to Bordeaux, and then Toulouse. 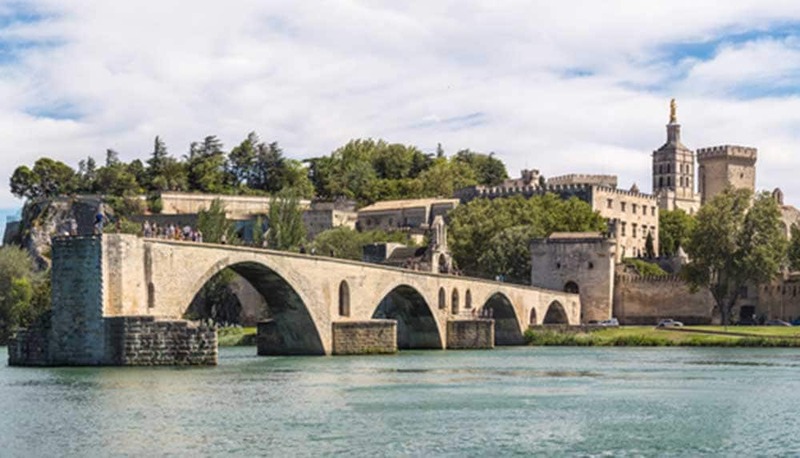 Here we rented a car and slowly made our way to Avignon, in the famous Provence region and only some 30km from the writer’s house – the subject of his delightful book. We drove all the way to Strasbourg, in the northeast of France, which gave us much opportunity to explore rural France. All too quickly, it was time to bid au revoir, and merci beaucoup, France. All the Light We Cannot See is a beautiful historical fiction set in the coastal town in Northern France during WWII. It follows a girl who has been blind since childhood. She moves from Paris to San Malo and must learn to navigate this walled stone city alone while her father is in a Nazi prison all while helping to send messages to the allies. At the same time, it follows the story of a young Nazi soldier. 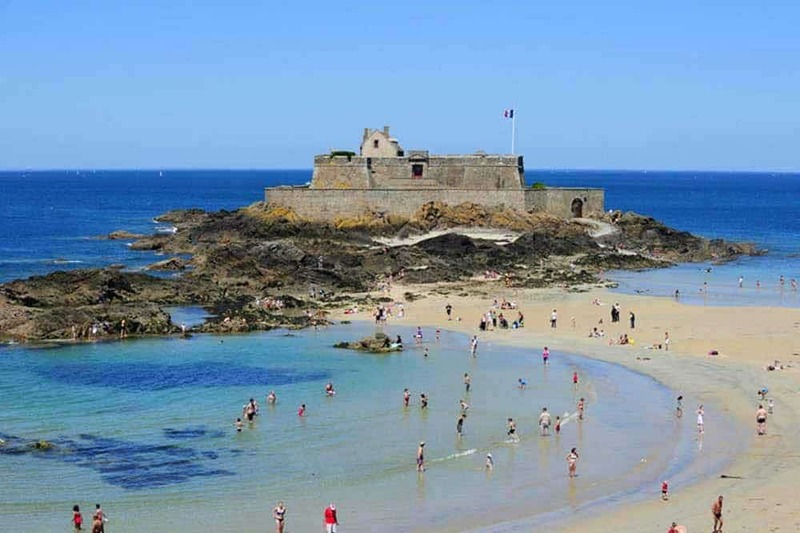 It’s an interesting read and inspired me to visit the town of Saint-Malo which is now a bustling beach town with a fascinating past. Saint-Malo is one of my favorite day trips from Paris. This classic is such a good read, but it was the descriptions of the destinations in The Count of Monte Cristo that I loved. Paris, Marseilles, Rome, Monte Cristo, Greece, and Constantinople were all places that Dumas brings to life with his descriptive writing. Another classic by Alexandre Dumas, The Three Musketeers takes place in 17th century France during the reign of Louis XIII. It’s a gripping and exciting tale and the descriptions of Paris during such a turbulent time is fascinating. The Pilgrimage, a novel by a famous Brazilian writer Paulo Coelho was one of the reasons I became interested in the Camino de Santiago a famous pilgrimage route in Spain that goes to the cathedral in Santiago de Compostela where the body of apostle St.James is believed to be buried. 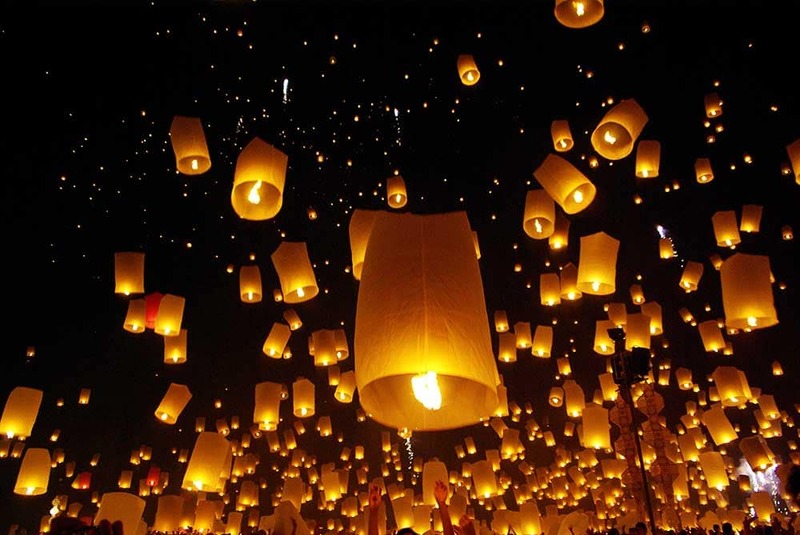 The novel is written in a typical for Coelho style, a mixture of real facts, author’s imagination, legends, and beliefs. The book tells readers about Coelho’s experience of walking the French route of the Camino de Santiago together with his friend and mentor. The author reveals the reasons he decided to walk the Camino, things he learned about himself and people in general during the pilgrimage, curious events and interesting encounters that happened on the way. The Pilgrimage is not a kind of book that will help people to plan the walk, there is no practical information or details, it’s rather an inspirational novel that might encourage readers to walk the Camino de Santiago. The Shadow of the Wind is a magical, slightly creepy Gothic novel set in Barcelona in the turbulent period following the Spanish civil war. It begins with a father taking his son to a Cemetery of Forgotten Books, and features a mysterious recluse and star-crossed lovers. But most spellbinding, for me, were the descriptions of Barcelona itself. The spooky action takes place in atmospheric medieval streets, squares, and cathedrals — all real places that you can actually visit. 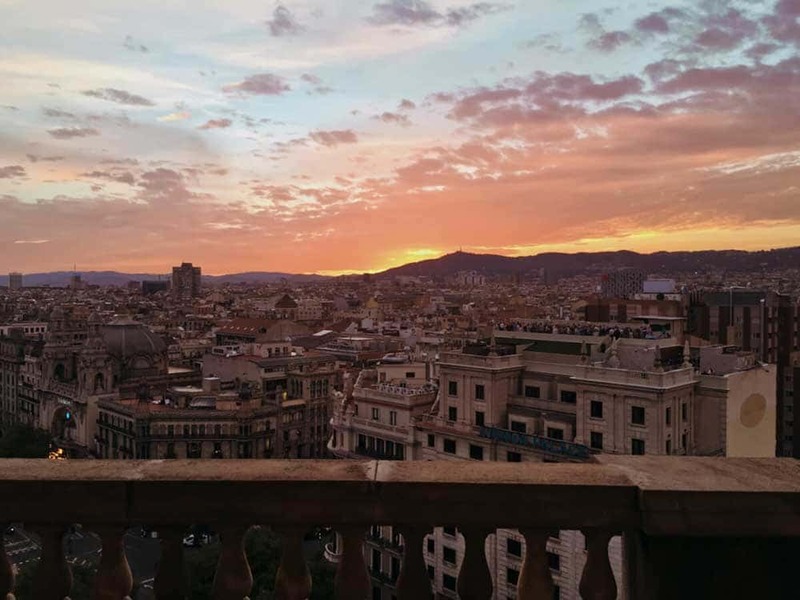 If you have plans to visit Barcelona, reading The Shadow of the Wind is a highly enjoyable accompaniment that will really add to your travel experience! About halfway through Dan Brown’s thriller, Inferno, I learned I would be traveling to Istanbul for work. 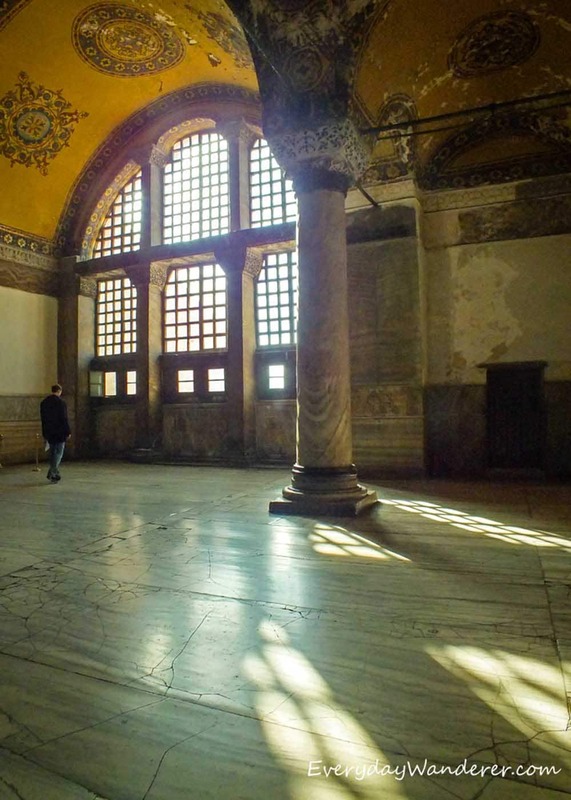 If you’re not familiar with the book (and without giving anything away), there is a car chase across the Galata Bridge, a search for answers in the massive Hagia Sophia cathedral-turned-mosque-turned-museum, and a climactic scene in the unique underground Basilica Cistern. Business trips, especially those abroad, are grueling. While jetlagged in an exciting new destination, there is often little time to do or see much because your focus is on the job at hand. As luck would have it, I got to spend a weekend in Istanbul. I spent every waking moment exploring the real-world version of the exotic, ancient city brought to life in Dan Brown’s novel. I have always been a keen student of history but I wasn’t prepared for how little I knew about the Ottoman Empire before I picked up Orhan Pamuk’s brilliantly written My Name is Red some years ago. Ever since then, I’d decided to do two things – read all of Pamuk’s other works and visit Istanbul to learn more about the Ottoman period. I finally got to do both of those things at one particular venue in Istanbul – The Museum of Innocence where fragments from the book (including the 4213 cigarette butts smoked by the lead character) have been kept in a two-story place for visitors to revisit the book as well as physically touch the belongings mentioned in the book. If I thought My Name is Red was brilliant, the museum dedicated to The Museum of Innocence turned out to be even more epic in comparison. Learn more about visiting Turkey here. The Big Red Train Ride by Eric Newby was written in 1977 when traveling through Russia (USSR)) was very different than now. However, despite him describing many difficulties associated with being behind the Iron Curtain, this book totally made me want to take the train ride. The idea of starting in Beijing and going all the way across the steppes of Siberia to Moscow in one incredible week just sounded so cool! So, I decided then and there that I would follow in his footsteps and do it too. I have to say that my actual ride on the Trans-Siberian was less fraught with bureaucracy than Newby’s, and I loved every second of it! I first visited Saint Petersburg at the age of twenty-seven which, given that I am Russian, is a little embarrassing. But hey, Russia takes up 1/6th of the planet Earth, so going places takes time, in my case — almost three decades. The dream of visiting Russia’s cultural capital was born at school, at history and literature classes. And one of the first novels to bring the image of Saint Petersburg to life was Dostoevsky’s Crime and Punishment. To say that Crime and Punishment inspired me to visit Saint Petersburg is not entirely accurate, though. 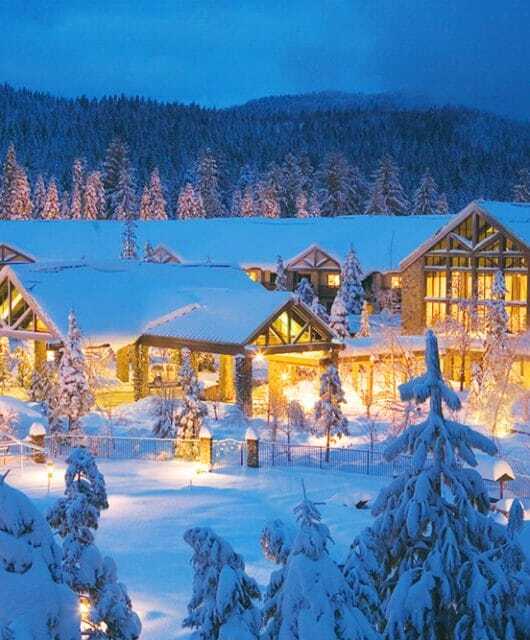 Usually, novels that inspire you to visit places present the said places as beautiful, charming, or romantic. That is not the case with Crime and Punishment. Dostoevsky’s Saint Petersburg with its narrow filthy streets and grim courtyards is dirty, gloomy, and depressing. In fact, the city is the reflection of the main character’s emotional state, as well as one of the factors that push him into committing the crime. Upon reading the novel, I didn’t fall in love with Saint Petersburg — I doubt anyone could — but it did wake my curiosity. I wanted to walk the same streets as Raskolnikov, to see the house where he lived, as well as the house of Dostoevsky. Mind you, the novel was written in the XIX century, and the city has changed a lot. If you visit in summer, Saint Petersburg is a marvelous place to be. Late fall and winter are pretty grey, cold, and gloomy, though. One of the books that inspired me to visit the new place was Between East and West: Across the Borderlands of Europe by Anne Applebaum. It tells the story of the author’s journey along the western border of the collapsing Soviet Union and shows the variety of cultures, nations, and religions she stumbles across. While most of the places were familiar to me, the part about Chernivtsi, now Ukraine, intrigued me so much that a few months later I traveled to the city. It was amazing, everything that I expected and more. 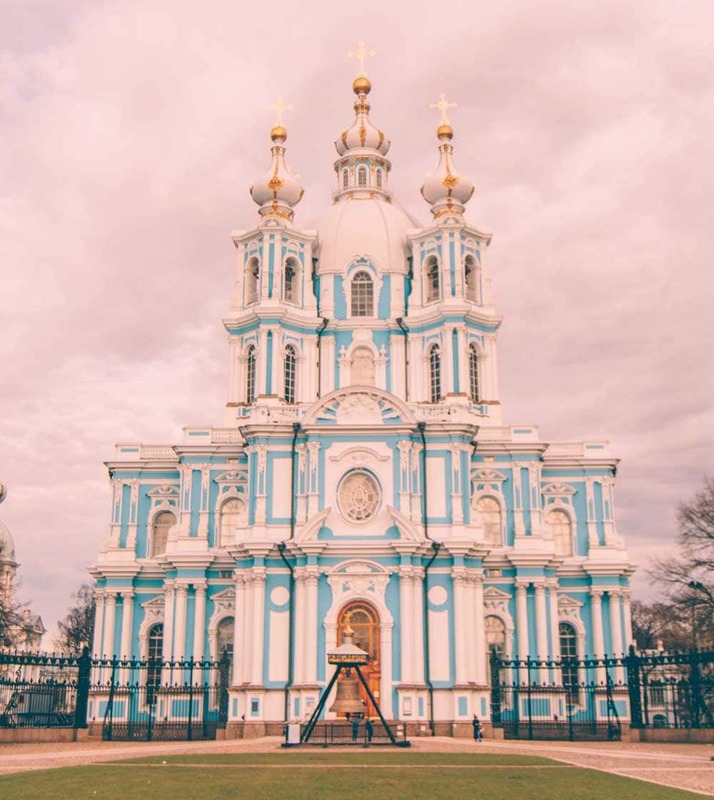 Chernivtsi is one of the most beautiful and underrated cities in Ukraine, with a rich multicultural history and stunning Central European architecture. Fun fact: Mila Kunis was born in Chernivtsi before moving to the US! Reading the story of Morgaine and King Arthur in The Mists Of Avalon (Marion Zimmer Bradley) in my teens introduced me to the magic and charm of Camelot. Unfortunately its never been proven Camelot ever existed. You can visit the place where King Arthur was supposedly born though, Tintagel Castle. These ruins are set on the rugged coastline of Cornwall, England. 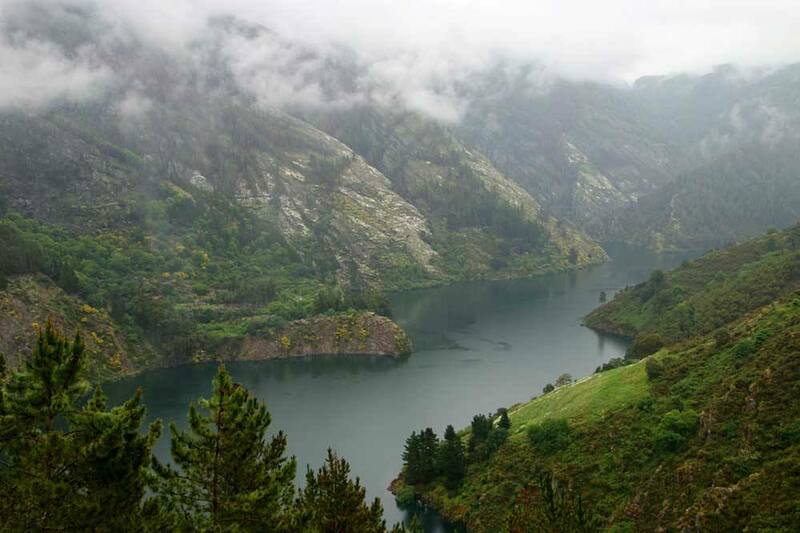 It’s a wild and beautiful place, making it easy to see how legends grew around the area. You can head down to the beach, see Merlins Cave and visit quirky tourist shops full of King Arthur souvenirs. For those that are a bit more rooted in real life, the site has a history going back 1,500 years. 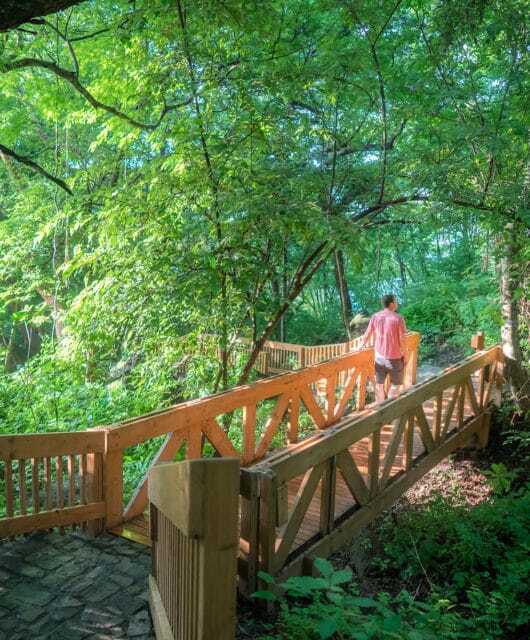 You can learn about the dark age settlement, the nearby slate quarry and more. The Secrets of a Charmed Life is a WWII story of two sisters who are evacuated from London and sent to the English Countryside in the Cotswolds. The sisters are separated and years later search for one another. 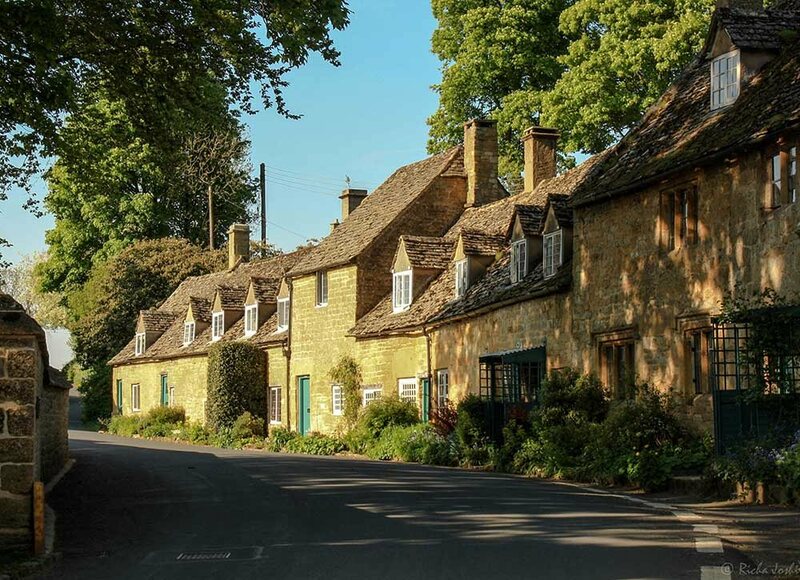 The book paints a beautiful picture of one of my favorite places in the world and mentions many Cotswold towns, which are great day trips from London. In Pride & Prejudice, Jane Austen had me gripped with her family drama/ romance but my favorite novel is Sense & Sensibility. Reading through Jane Austen’s novels at an early age and I’ve read a few, I had painted a vivid vision of how the English countryside would look like in my head. So when I finally got a chance to visit London a few years ago, I knew I had to make my way to see the English countryside. I started my journey with Jane Austen’s birth town of Bath and made my way into Cotswolds, which by far turned out to be my favorite part of England. During my weekend trip in Cotswold, I relived Marianne Dashwood’s life by frolicking through the Cotswold meadows, making wildflowers bouquet on my way, and living in a thatched roofed house. Cotswold was way more than what I had imagined the scenes in my dreams. The Guernsey Literary and Potato Peel Pie Society is a great love story set during and post WWII on the small island of Guernsey between British and French shores will make you long for a simpler life where community is family and people take care of one another. You can visit Guernsey and still see the WWII bunkers today! Can Scotland even be mentioned without thinking about Outlander? In my world, no. But Diana Gabaldon’s incredible stories take us all over Scotland, France, and the New World, as they venture to Paris in the second book, Jamaica in the third, and settle in North Carolina in the fourth. Jamie and Claire’s nomadic lifestyle is enough to spark your wanderlust for just about anywhere. It was so fun reading Outlander and then traveling to Scotland, visiting the battlefield of Culloden, and the standing stones and Clava Cairns. The same year, I read Voyager, which largely takes place on a ship and in the Caribbean, then I traveled to Jamaica. Connecting all the dots was so much fun. Now I think I’m due for a trip to North Carolina! The Diary of Anne Frank is a must read for any human being. This diary of a young Jewish girl who went into hiding in a secret annex in a house in Amsterdam during the Holocaust is truly moving and unforgettable. You can go to Amsterdam and visit the house where she and her family were hidden away. Burial Rights is pretty stoic, but it is a good story and does a good job of explaining the lifestyle of Icelanders in the 1800s. It’s the story of the last execution in Iceland. The book definitely captures the moody and other-worldly feeling that Iceland sometimes has. Night by Elie Wiesel was the first book I ever read about the Holocaust, and it was completely devastating and eye-opening. Elie’s memoirs are heartbreaking but educational. After reading this book it inspired me to book a trip to see Auschwitz and learn about the terrible events that occurred during this tragic time in history. People of the Book is a fascinating story about a hidden manuscript that has survived thousands of years. I had never really thought of visiting Sarajevo until reading this book, not it’s totally on my bucket list! 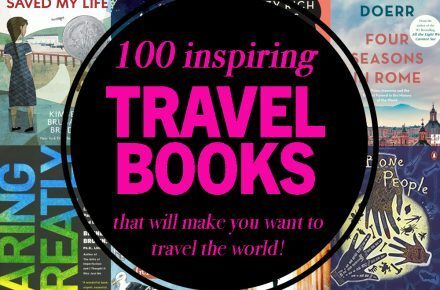 There are so many great travel books that inspire me to travel across my own country, it was hard to narrow it down! While I did find The Great Alone slightly depressing, with plenty of domestic abuse and child neglect to go around, Kristin Hannah’s descriptions of Alaska were truly beautiful. The necessity to survive and the most basic human comforts barely being met, all while falling in love with this inspiring land. 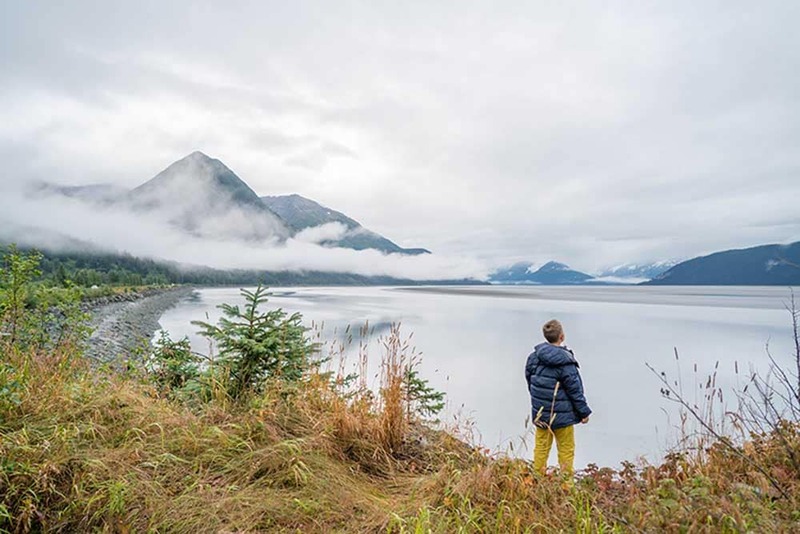 She nails that feeling that anyone who has ever traveled to Alaska knows; that connection with nature that you feel when you’re there, and the reluctance to leave it. I first read Anne of Green Gables, Canadian author Lucy Maud Montgomery’s novel about a spunky red-headed orphan living on Prince Edward Island, when I was perhaps 11 or 12 years old. At the time, travel was something that existed only in my imagination but I longed to visit the island where Anne’s adventures took place. Twenty years went by before I finally visited PEI and it not only lived up to but exceeded my childhood expectations. 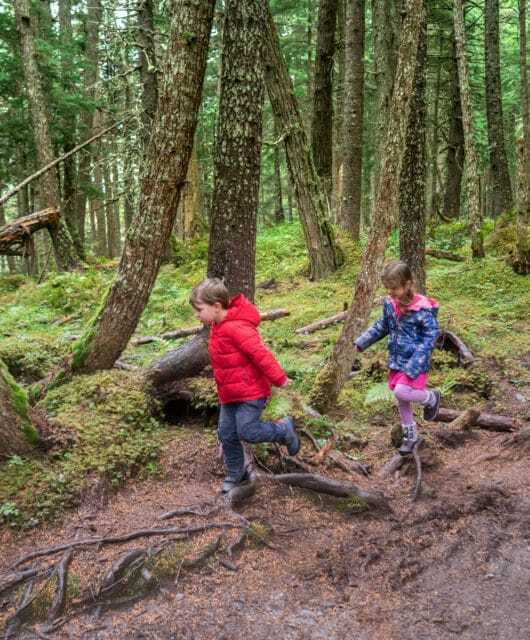 The red sand beaches, the Haunted Woods trail, Green Gables – all were just as I had imagined when reading the book so many years earlier! 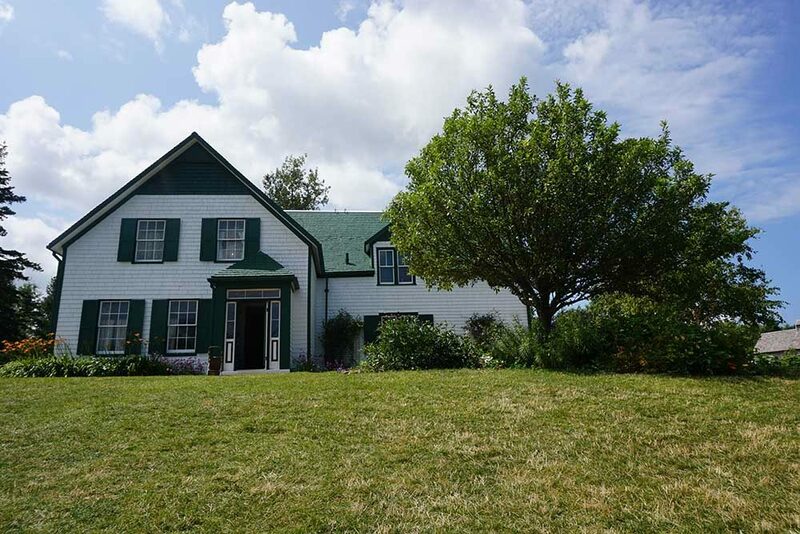 We have traveled to PEI many times since and visiting the various Anne attractions is always on our itinerary. My daughters have grown up with Anne of Green Gables and some of our happiest family travel memories involve Anne and her beloved island. 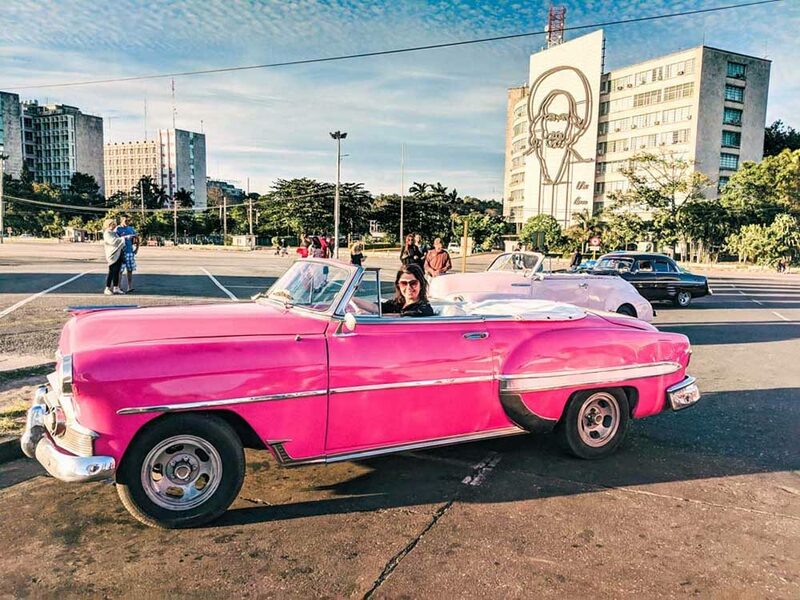 Set both in modern-day Cuba and old Cuba during the revolution, during Fidel Castro’s struggle for power, Next Year in Havana follows the parallel lives of grandmother and granddaughter as they both find ….love and struggle to find their place in the Cuba of their time. This book is both moving while also very educational without sounding like a history book. I learned so much about Cuban history and its current struggles as a changing country. Who thought reading a book could inspire a 4 year long South America backpacking trip? After two of my best friends passed away, I knew I had to do something courageous with my life. I already had a desire to travel but was too scared to go alone. By reading the book King, Warrior, Magician, Lover. I learned all about the hero’s journey and have never looked back since. I suddenly had a template to guide me and was able to confront my fear which all started with me booking a solo trip to Mexico. I took a road trip with my family from California to Illinois on summer in my teens. We stopped in Hanibal, Missouri, which seemed to be taken right out of a Tom Sawyer or Huckleberry Finn. I remember going into a bookstore in the little town and buying several of Twain’s works. In this case, the book inspiration worked backward, and the town inspired me to read more of Mark Twain. Being there before reading the books really brought the characters and scenery to life and instilled in my young mind a love of literature. This book was the start of one of the most incredible adventures of my life. To this day, even after all the traveling I’ve done in my lifetime, if you ask me what the coolest thing I’ve ever done is, it would be because of this book. Five years ago I read the book Moloka’i by Alan Brennert, which is about the leper colony on the Hawaiian island of Molokai. This heartbreaking tale chronicles the story of one young woman forced onto the island and tells the sad tale of her life and those around her as she suffers from what is now known as Hansens Disease. It’s truly an amazing story. After reading this book, I visited the island of Molokai with my sister. We rode donkeys down 3,000-foot cliffs into the old Leper Colony of Kalaupapa where two residents and sufferers of Hansen’s disease still resided. We toured the colony in an old school bus and learned about life and death there. It was so moving and an experience I will never forget! Into the Wild is the true story of Christopher McCandless. McCandless gave up a comfortable life to travel the USA and just explore where the wind blew him. The book follows McCandless story as he pushes his boundaries and lived life on this own terms. McCandless traveled to Alaska where he spent 113 days living in the bush outside Denali National Park. He died of exposure when the situation spiraled beyond his skill, but his legacy of exploration remains. Interview With a Vampire is a true classic for anyone interested in the south and vampires! I read this book before visiting the Oak Alley plantation near New Orleans, Louisiana. The movie adaption was filmed here and I learned during the tour that to create the scene in the movie where the plantation burns down, they had to coat the entire house in flame retardant jelly! 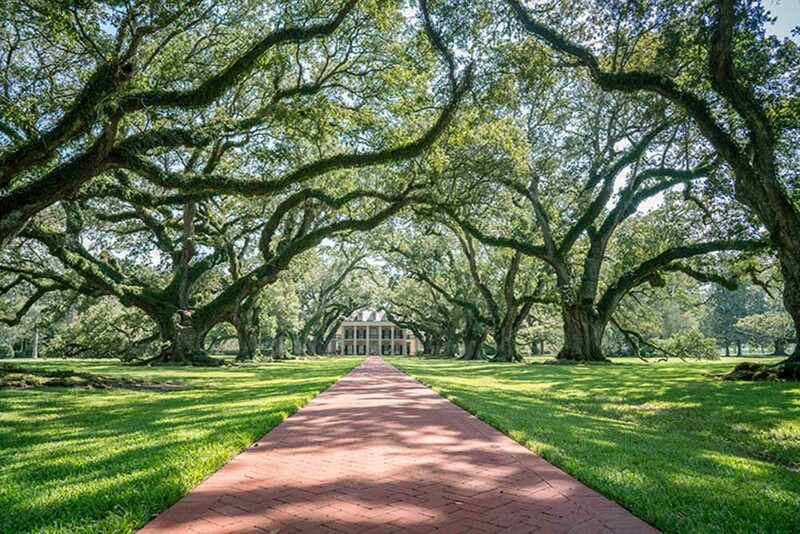 The plantation itself is beautiful, but the history and stories of slavery are truly tragic. This is a touching coming of age classic about life in Brooklyn during the turn of the century and remains one of my favorite books. After reading this book it inspired me to visit the tenant museum in the Lower East Side to see what life must have been like for families living in poverty in New York City during that time. 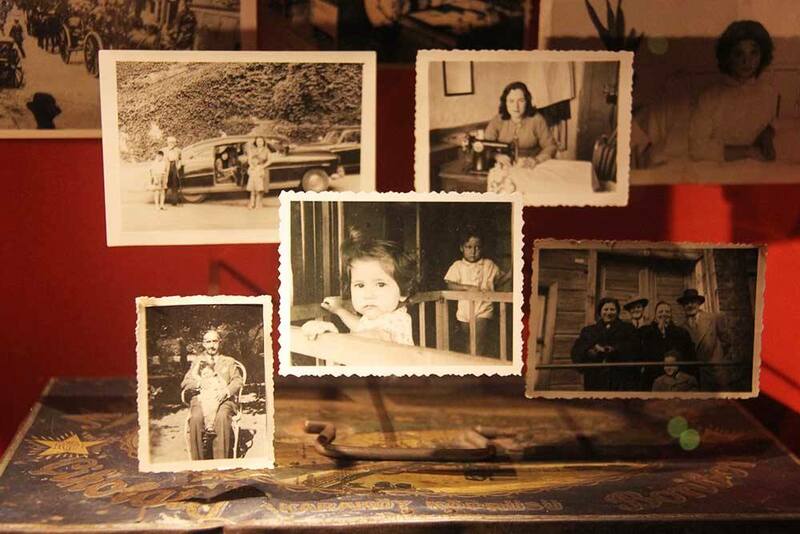 If you plan on visiting the Tenement Museum, read A Tree Grows in Brooklyn! Another incredible book by Alan Brennert, Honolulu tells the tale of mail-order brides in Oahu and about the cultural dichotomy of the island. I read this book after living on Oahu for two years and I felt that the author definitely nailed the history and atmosphere of this unique melting pot. If you’re visiting Oahu, read this first! This book is for book lovers! And if you’re not a book lover, you will be by the end of the book! Book Scavenger is about a family who traveled around the US, living in a different state every year and blogging about it. When they arrive in San Francisco though, things start to change thanks to an exciting online game: Book Scavenger! I won’t give away too much of the book, but it’s a fun read for kids of all ages and you can even play your own game of Book Scavenger online. We played it and found a book in Alaska! I love this concept and wish it was more popular! I still have not made to Oceania! But these books sure are inspiring to make it a priority on my bucket list! I’ve always been a big fan of Bill Bryson; and when I read In a Sunburned Country (originally called Down Under), I knew that I had to get out to Australia. Just like Bill, I found the country fascinating – the dramatic weather, the range of terrains, bizarre stories and amount of lethal animals made me magnetically drawn to this country. So I embarked on a backpacking trip around Australia in September 2016, going to many of the places that Bryson recommended. I used his book as an unconventional travel guide, visiting spots and comparing my experiences to the one that Bryson had. We have a very similar sense of humor, so I often found we’d have the same thoughts about different places in the land Down Under! 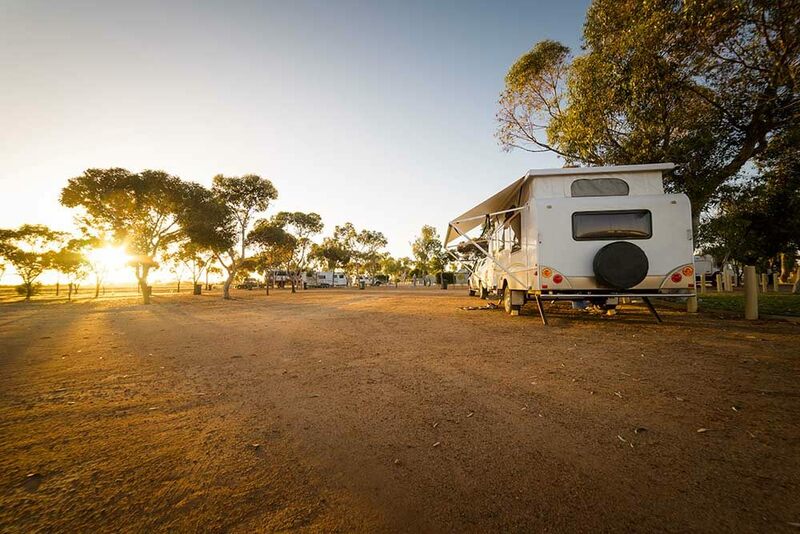 Having never stepped foot in a caravan, we’ve decided to head off on an 8,000km outback tour of Australia in March in a small off-road caravan. To get a grip on the reality of doing this with the kids, I found the perfect book Wrong Way Round by Lorna Hendry. Easy and enjoyable to read, Lorna is a great storyteller who tells it how it is. All the amazing experiences and places they visited, how it benefited their family, and all the things that went wrong along the way. Robyn Davidson’s book Tracks inspired me to see more of the Australian outback – to be bolder as a woman and to seek more freedom in my life, both geographically and mentally. I arrived in Alice Springs in 1983 with a backpack and no job. I found work with a company running outback tours and sometimes sang with a guitarist in a pub at night. Gossip in the pub and on tour was often about The Camel Lady (Robyn Davidson) and in time I came to read Robyn’s book. in April 1977, Robyn set off from Alice Springs to travel across 1700 miles of hostile Australian desert and bush with four grouchy camels and a dog called Diggity. 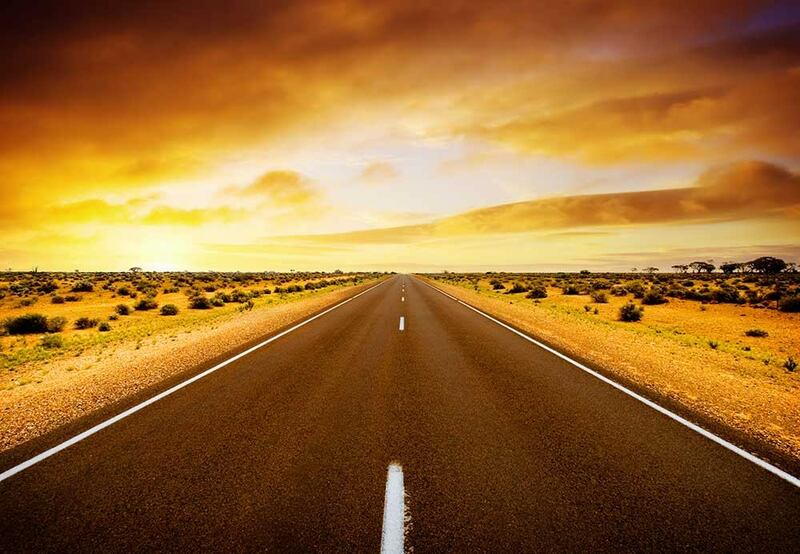 Tracks made me realize that freedom involves risk, and my trips to remote spots around Alice Springs became all the more adventurous, expanding my horizons and boundaries. I was inspired by Robyn’s odyssey to explore more challenging places, which led to self-discovery and transformation. In a bigger way, I think Tracks gave me the nudge to choose a life of Travel and life as an Expat.A couple of years ago I was honored to meet Robyn at a writer’s festival in Perth, Australia, and subsequently, I interviewed my heroine of all those years ago! Adventures in Caravanastan by Greg Bearup is a non-fiction book about traveling around Australia in a caravan with a young family. 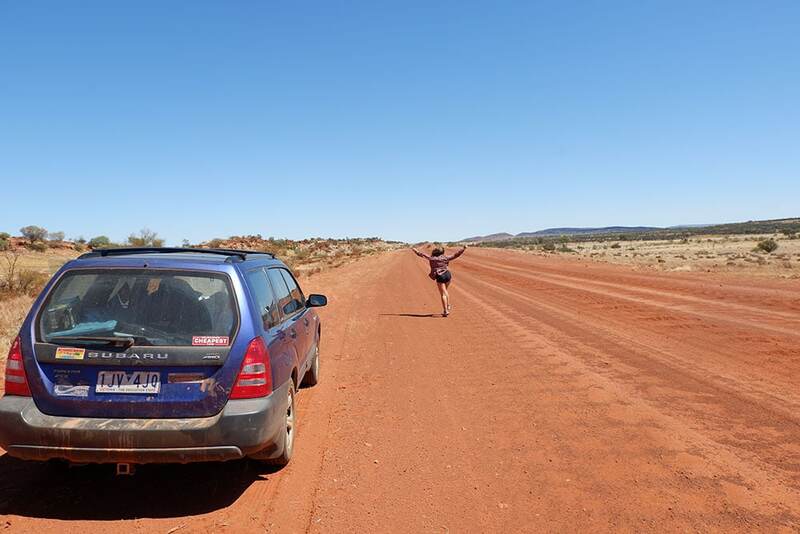 Greg and his wife Lisa take their very young son for a year’s travel around our whole large country, meeting many different Australians along the way. 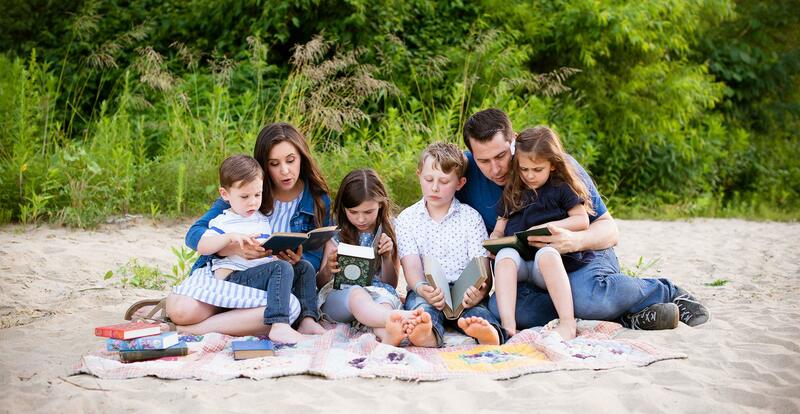 My family and I were already thinking about doing a similar thing, and this book confirmed for me that it can be done with very little kids (even though it’s difficult sometimes! ), and how lovely slow traveling in a caravan would be. Seeing all of Australia so intentionally sounded ideal, to have the time to drink in the changing landscapes, and to meet other travelers and locals along the way too. The Bone People is captivating and a good education in both the Maori and European inhabitants of New Zealand. With a great storyline and poetic writing, Hulme sweeps you into the world that is New Zealand. There’s a great Maori glossary to help you out as well. There are so many incredible places to visit in South and Central America, and these most inspiring books really make me want to go even more! My idea of a great travel book is one that inspires you to get up and explore, and, The Lost City of Z by David Grann did exactly that for me. I found a dusty copy of the book in a tiny hospedaje in Bolivia. I didn’t have a selection to choose from as it was the only English novel I had found in quite some time. The book seemed fitting as it was about the British explorer Percy Fawcett’s misadventures into South America – something I was reenacting at the time. Percy and his son go missing in the Amazon whilst in search of the mythical Lost World of Z. The book recounts their journey and the perils of the Amazon jungle; from disease-ridden mosquitoes to territorial tribespeople who are less than happy to see visitors. The whole book was incredibly immersive and it inspired me to make expeditions of my own. After reading it I then ventured right through the heart of the Amazon overland, all the way from Bolivia to, eventually, Rio de Janiero. 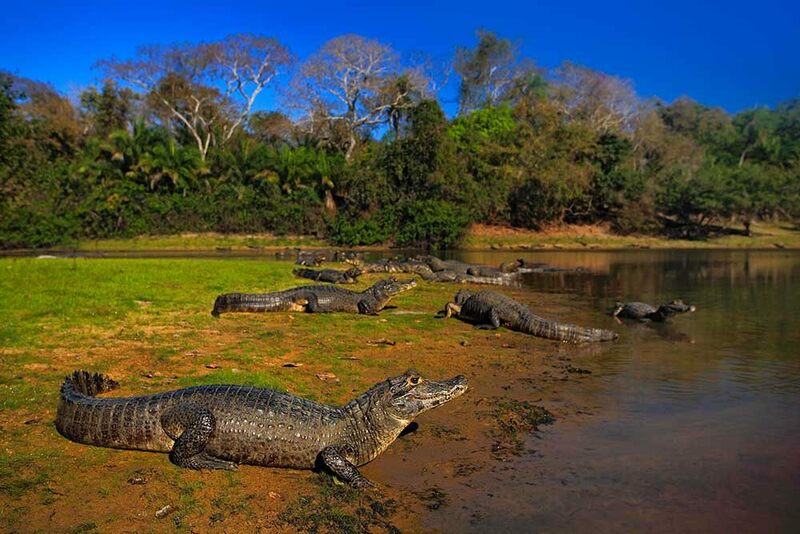 This saw us hiking through jungle swamps and getting stuck in caiman infested waters and a 9 day journey along the piranha-infested Rio Negra, watching river dolphins and fighting off bird sized mosquitoes! Not only is Backpacked: A Reluctant Trip Across Central America one of my favorite books, but it also got me to do the same thing and backpack across Central America. The year that I first read it was my last year in college and I knew I wanted to go somewhere after graduation and this book convinced me that Central America was it. The way she told the stories and described all of the places she visited made me feel like I was there, or at least that I really really wanted to be there. And lucky for me, it was easy to get to and affordable. It made me want to see Antigua, climb Pacaya, enjoy Lake Atitlan, relax on the beaches of Costa Rica, and party in Panama, so I did. It’s still one of my favorite books and I’ve read it about once a year since then. I read Over the Edge of the World by Laurence Bergreen and immediately felt compelled to experience the Straits of Magellan on my own. This is the riveting story of how Ferdinand Magellan with 5 ships and 260 sailors circumnavigated the globe. They faced many incredible misfortunes including the violent death of Magellan in the Philippines. Nevertheless, they persevered. The ships journalist, Pigafetta, recorded the journey. Three years later one weather-beaten ship limped back home with 18 starving sailors including Pigafetta, proving once and for all that the world was round, opening a water route to the spice islands and changing the history of the world forever. After reading this story I traveled to the area and re-read the book as I sailed the same route as Magellan. It was an amazing experience. 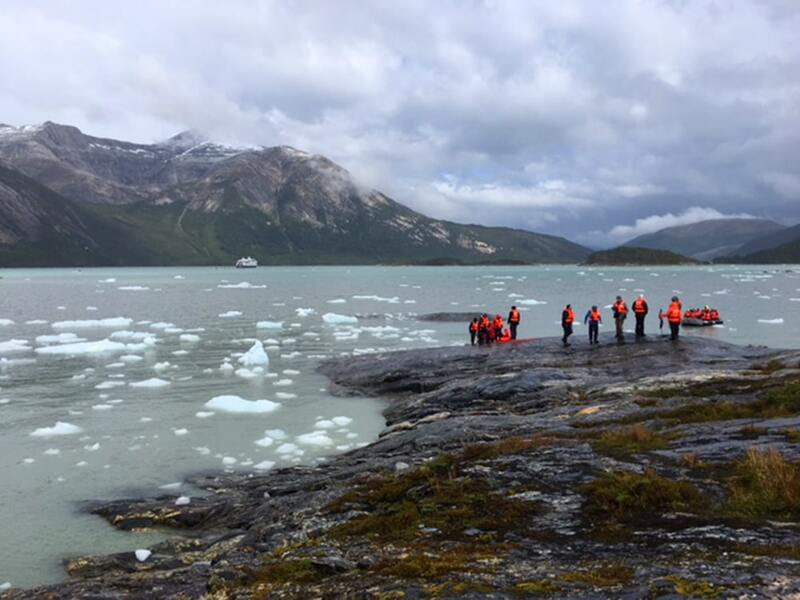 Read more about Navigating the Straits of Magellan. When I worked at a 9-5 job I took great holidays where I met digital nomads and I yearned for long-term travel and a great life adventure. I read Chasing Che by Patrick Symmes where he followed the path of Che Guevara through South America and it inspired me to take the leap. I decided to work hard to pay off all my debt and go traveling for a year or two, starting in Mexico and traveling South through Latin America. That was 9 years ago. I never went back to my old career and today I’m based in Havana, Cuba. Life is much different now. I find little delights like learning how to make Cuban coffee or just a day at the beach. But no matter where I go I am still reminded of the book as you can see Che’s face on every corner in Cuba. A New York Times bestseller, Turn Right at Machu Picchu is a must-read for adventure enthusiasts and explorers heading to mystical Peru. 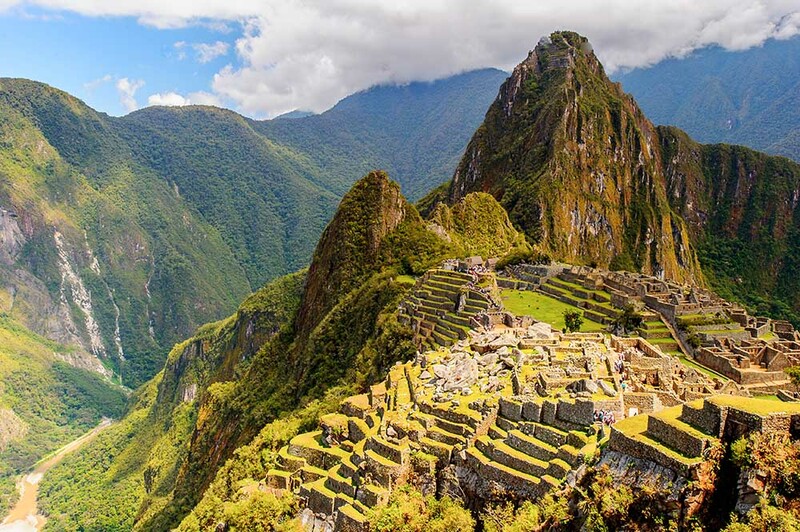 Most people hike the Inca trail to check a box off their bucket list. To say they’ve conquered one of the most striking mountains in the world. Not Hiram Bingham. On a mission to recreate the original expedition, our fearless protagonist is in search of gold, ruins, and a good story. Precursory reading for anyone thinking about undertaking South America’s iconic journey, it reminds you that it’s a trip bigger than yourself, riddled with history, and forces you to reflect on all those who made the trek before you. The Celestine Prophecy is a cult classic by author James Redfield. The book is a self-help book carefully weaved around an adventure-filled novel. The book is about some sacred and chased after manuscripts revealing powerful insights. Much of the story revolves around the mountains of Peru and the world famous archeological site and ancient city Machu Picchu. The descriptions of these places got my attention. Beyond the beautiful nature, the description of the energy that is present and the surrounding city sealed the deal. It made me want to go and see Peru and Machu Picchu. Upon reading this book I knew it was just a matter of time until I visited this magical and mystical place. Travel can be born in many different moments, but for me, it was as a 15-year-old student studying the poetry of Pablo Neruda. 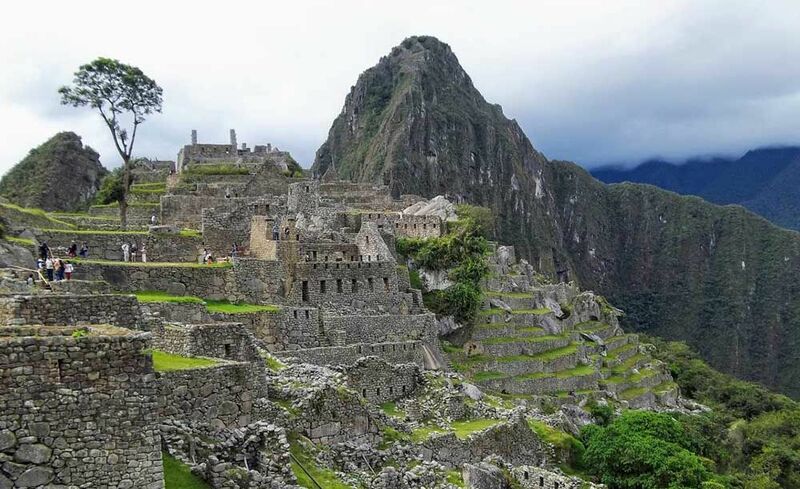 I was blown away by the power of the great poem, The Heights of Machu Picchu, by Neruda. The power of the words painted a mesmerizing vision of a place that seemed as though it could only exist in a dream. For years after, I imagined standing on those hills, staring at the peaks, and feeling the power of the wind high on Machu Picchu. It’s the reason why, when Tracy and I decided to take our first trip to South America together, there was only one possible location – Peru. How could a place possibly match my expectations, what I had dreamed it would be? But, Machu Picchu didn’t match my expectations, my hopes. One thing I love about traveling with kids is teaching them about the world not only through travel but also through books! 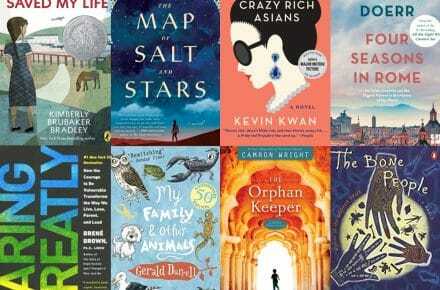 These are some of our favorite books to read while traveling the world. This might not be a literary masterpiece, but Love and Gelato it’s a fun read for Young Adults. What could beat a love story set in Italy? When an American teen comes to Italy after her mother dies to reconnect with her father who she’s never met, she finds love, but not in the way she expects. The setting of this story in Florence is what really makes it worth a read for me. The love for this city is evident in the author’s writing, and she’ll make you fall in love with Florence too! The War that Saved My Life and the sequel The War I Finally Won are probably my two favorite books for kids about WWII. A young girl, Ada, who has a club food, and her brother Jamie are stuck in a loveless family with their abusive and neglectful mother. Although the war is scary, it actually saves their lives in the most miraculous way. As they are relocated to the English countryside, their lives are transformed. I always love a good historical fiction, and this one is so touching. It also makes me want to pick up and move to the English countryside. We spent a month living near the town where this book is set in Kent, England, and it was so fun visiting all the places mentioned in the book. 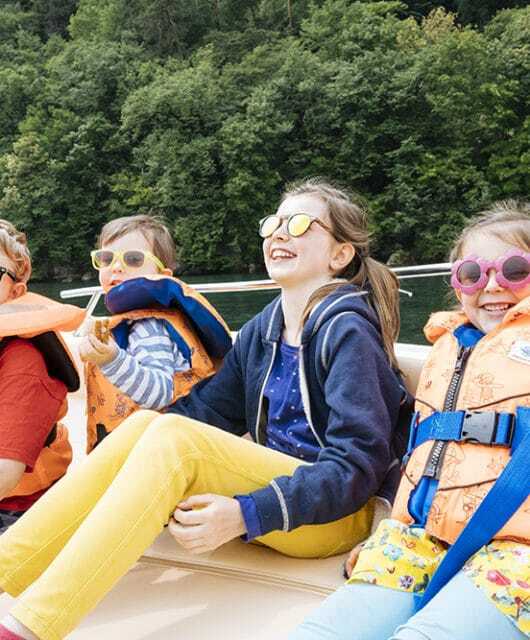 Swallows and Amazons is a classic tale of young adventurers looking for something to do during their summer holidays and finding more than they bargained for. The story is set in Northern England in the Lake District, which is so beautiful! I wish I could have my own little boat there for the kids to play pirate on! The Lions of Little Rock is a powerful story of children coming together and teaching adults what truly matters is so moving and a must-read for any child learning about the history segregation. Set in Little Rock, Arkansas, it brings to life the city and its past. 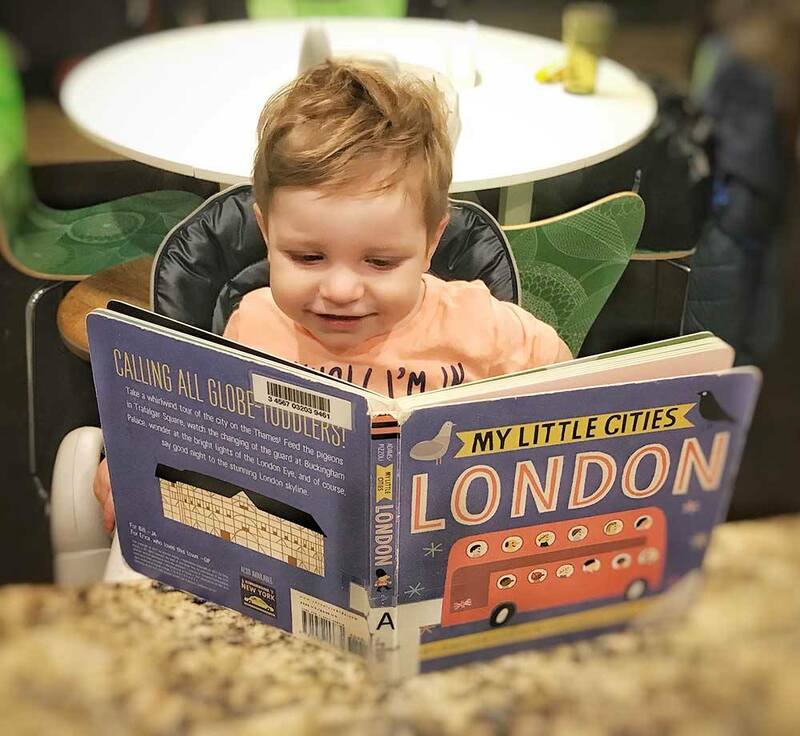 We originally discovered the children’s book My Little Cities: London by Jennifer Adams at our local library when my son was 14 months old. London was the first place I traveled to overseas from the US almost 14 years ago, and it definitely sparked my love for travel. I was thrilled to find a book that I could use to teach my young son about one of my favorite cities, and he loved it so much that we eventually bought the book. This book also inspired us to read more about the places we’re visiting each time we travel somewhere new or go on a new adventure. The book is even more special to us now since we decided to add the city of London as a stopover from an upcoming trip to Ireland. I’m excited to show my son all the places he’s read about when we visit in July of 2019 and to continue using reading for him as a way to inspire travel. Several years ago I took a road trip with my 7-year-old daughter from Virginia to Missouri. 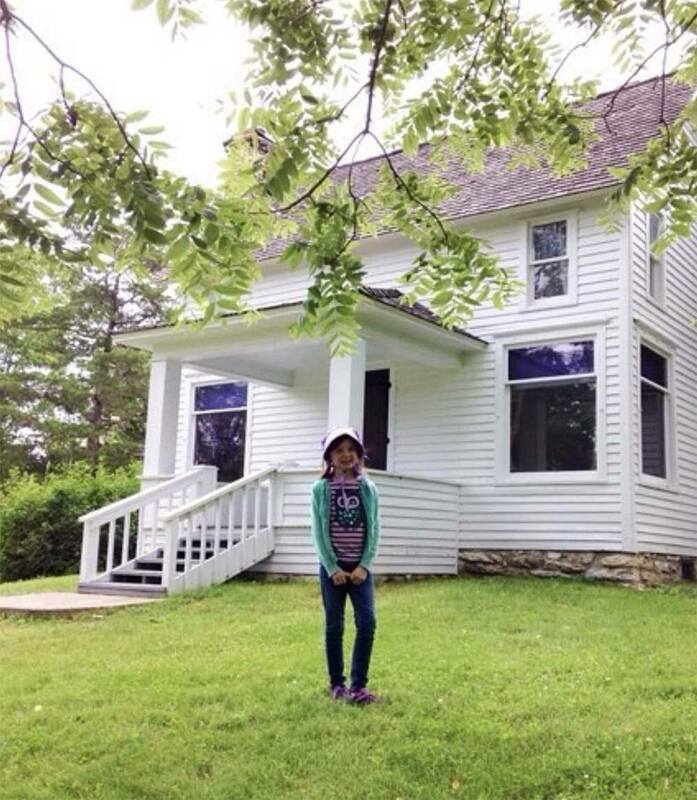 Along the way, we listened to many of the Little House books and at the end of our journey, we visited Laura Ingall’s Wilder’s home in Missouri, which has been beautifully preserved. It was an incredible journey traveling from East to West, just like Laura and her family did in the books, taking in the miles and miles of land that have been developed since that time. These books are great reads for kids or adults of any age. I love the real-life stories and the education that it divulges about the lives of settlers in the territories during the westward expansion. Roald Dahl always brings magic and vivid descriptions into his stories and his childhood autobiography, Boy: Tales of Childhood is no different. Reading all about his idyllic summer holidays visiting Norway, swimming in crystal clear waters and sailing around small inhabited islands made me want to visit Norway from a young age. Although I didn’t get to visit Fevik or Oslo-Fjord which are mentioned by Dahl, Norway was just as beautiful as he described. All the quirky local folktales about trolls and witches make it easy to see where Dahl got lots of his inspiration and great imagination from. When Arlo, an armadillo from Brazil, gets the twitch in his left paw to go on an adventure, he receives a journal from his traveling grandfather Augustin. Augustin has traveled to Paris a number of times and always visits the Iron Lady. He sets Arlo and readers of this picture book on a trip around Paris, stopping to see many of the Iron Lady’s friends including the Arc de Triomphe and the shops along Champs-Elysee. 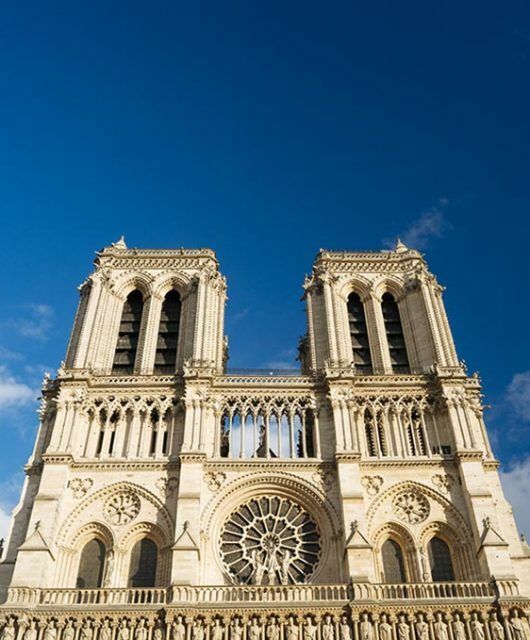 Along with Arlo, we learn about things you should do in Paris including browse through a book store, have your picture painted by artists along the Seine and enjoy food straight from the market. We eventually learn who the Iron Lady is along with facts about what makes her Paris’ most interesting celebrity. Paris pops off the page in colors, sights, and taste in Jennifer Gold’s On the Spectrum In this young adult book, Clara escapes New York City to live with her estranged father, stepmother and six-year-old brother Alastair, who is on the autism spectrum, in Paris. Clara, who has orthorexia, an unhealthy obsession with healthy eating, befriends a baker’s apprentice, Michel, who shows her some of the beautiful places within Paris as well as attempts to help her overcome her illness by helping her experience the joy of eating real food. My kids absolutely love The Water Horse, mostly because there’s a giant sea monster involved, but it’s also a great tale set in Scotland and will inspire your imagination when you visit Loch Ness! Was that just a trick of your eyes or was it the Loch Ness Monster…or maybe Crusoe? My 5-year-old actually tried sardines while we were in Greece because the water horse eats sardines in the book. Kidnapped is a Robert Louis Stevenson classic! Set in Scotland amidst events which occurred following the Jacobite rising of 1745, this story follows David who gets kidnapped by pirates, but then finds himself in the Scottish wilderness in the middle of the battle for Scottish independence. These two books White Fang and The Call of the Wild, both by Jack London portray life in the harsh surroundings of the Yukon and Northwest Territories in Canada, and also in Alaska during the Klondike Gold Rush of the early 1900s. We read both of these books during our RV trip to Alaska with the kids. Both books are written from the perspective of the dogs, which my kids found fascinating. London does an incredible job of describing life in this harsh but beautiful environment. The Secret of the Andes is an incredible story about an Incan boy who lives in a small village in a little valley high in the mountain tops of Peru. 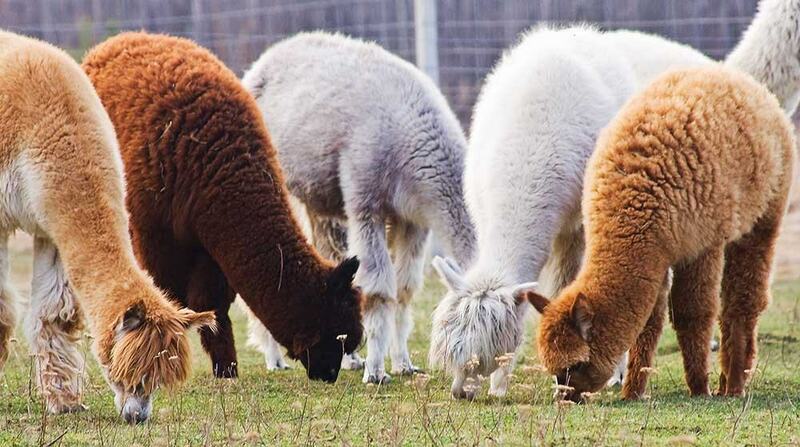 The boy, Cusi, who lives with a llama herder, discovers that he is of royal blood. His adventures in the mountains really paint a beautiful picture of Andes and of life in Peru. My 12-year-old daughter first recommended this book to me after reading it in school. She said we should read it as a family. A Long Walk to Water is based on a true story and follows two 11-year-olds in Sudan, one in 2008 and one in 1985, whos lives intersect in an amazing way. A Long Walk to Water is so moving and will give you major wanderlust to see Africa. 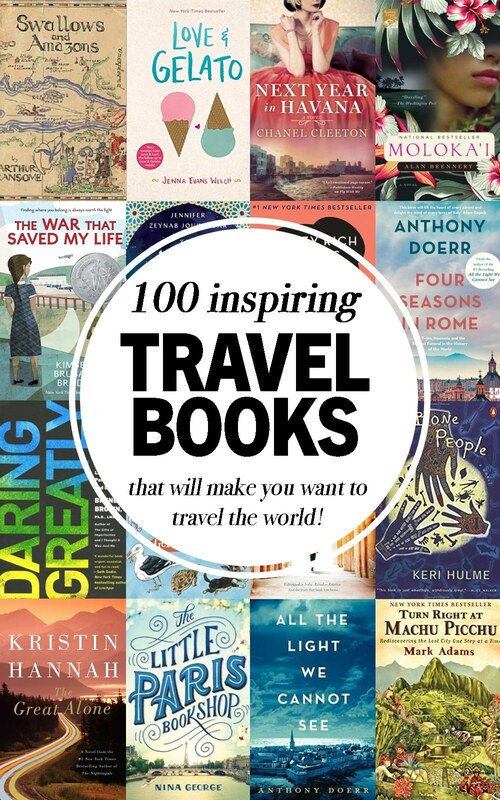 Have you read any books that have inspired you to travel the world? I’d love to hear about them! Connect with me on Facebook or Instagram and let me know. What a great post for future reference for gifts and book ideas. Thanks also for including my suggestion. Thanks for contributing! So many good ones on here! What a fantastic list! I’ve noted so many down from this and added to my ever-growing list of books to read. I know what you mean! Soooo many on my wishlist. I need more time!!! So many awesome books here. Hint, hint hubby. It’s our anniversary next week! I’ll have one of each please!!! With only 24 books read out of the list I have a lot of catching up to do. 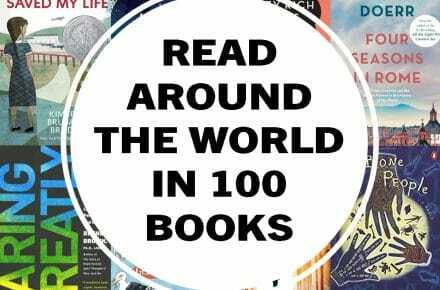 This list is great for a lover of books such as me. I will have fun reading the rest of the books. Thanks. Hey 24 is pretty amazing!! So many good ones! So much to read so little time!